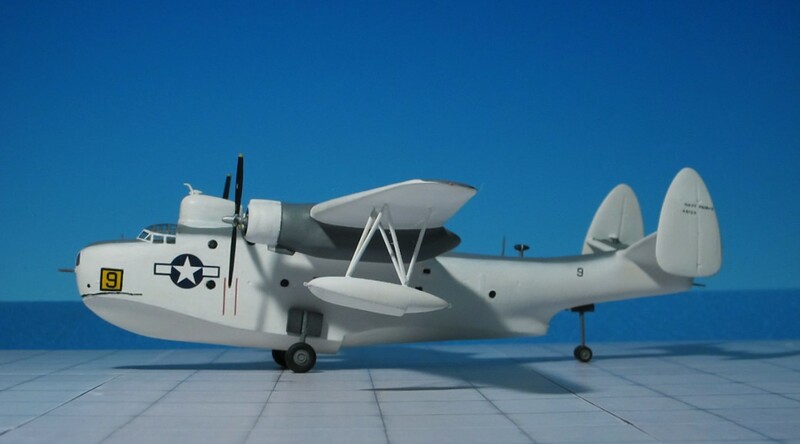 COMMENT: The Curtiss SO3C “Seamew” was developed by the Curtiss-Wright Corporation as a replacement for the Curtiss SOC “Seagull” as the US Navy’s’s standard floatplane scout. 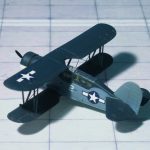 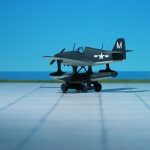 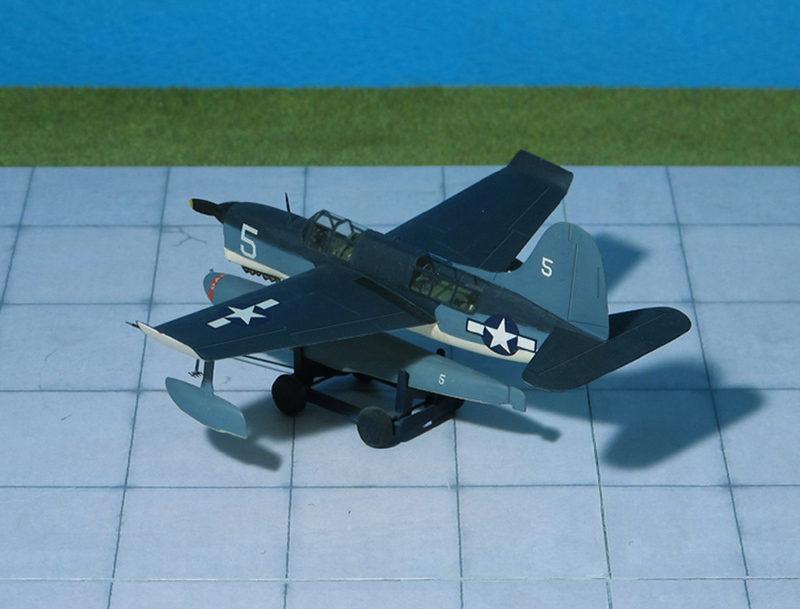 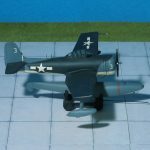 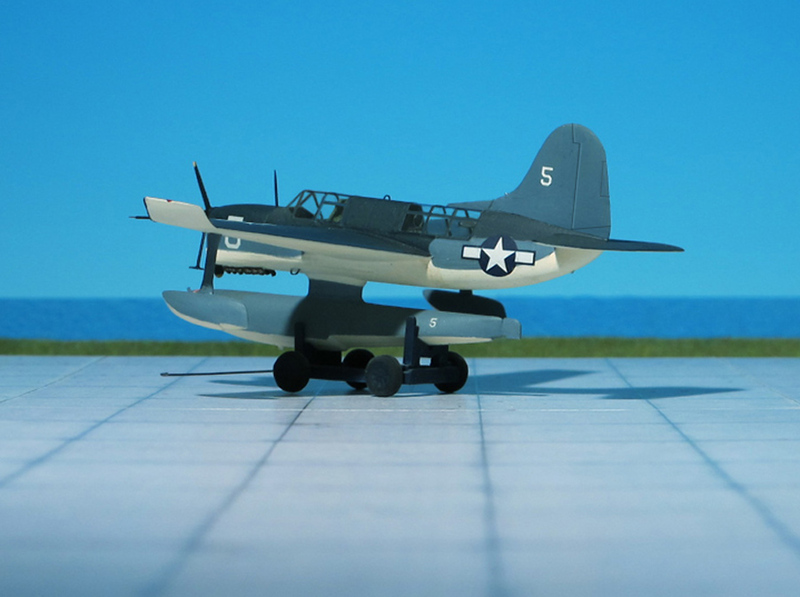 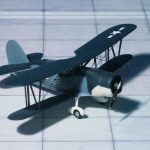 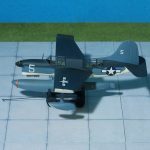 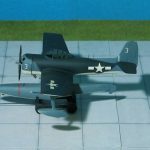 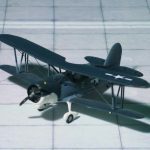 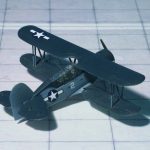 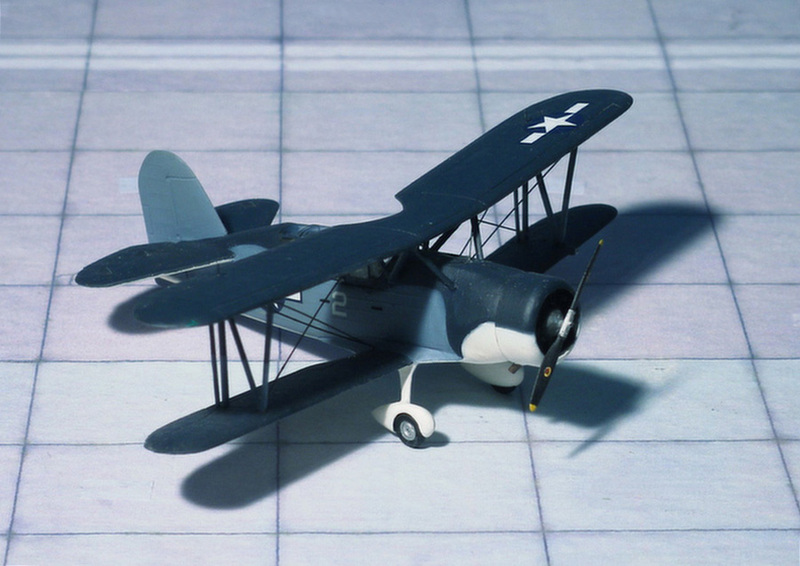 Curtiss named the SO3C the “Seamew” but in 1941 the US Navy began calling it by the name “Seagull”, the same name as the aircraft it replaced (the Curtiss SOC a biplane type), causing some confusion. 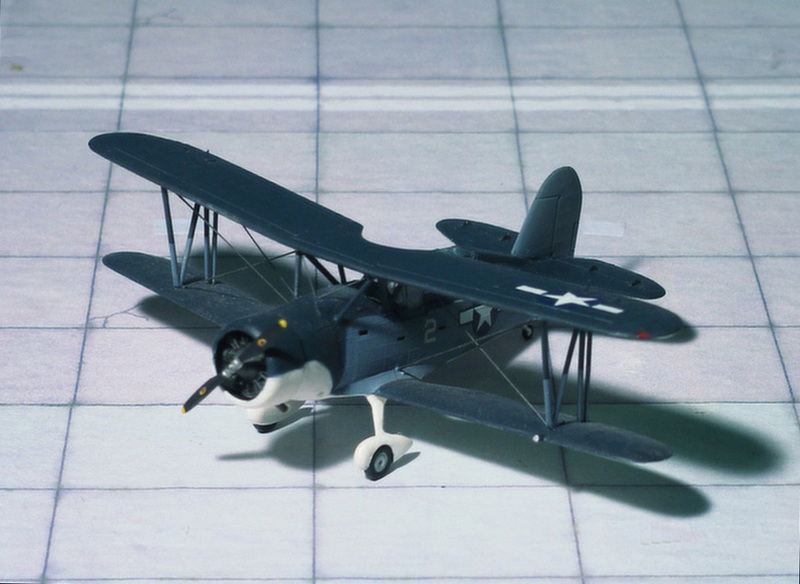 The British Royal Navy kept the Curtiss name “Seamew” for the SO3C that they ordered. 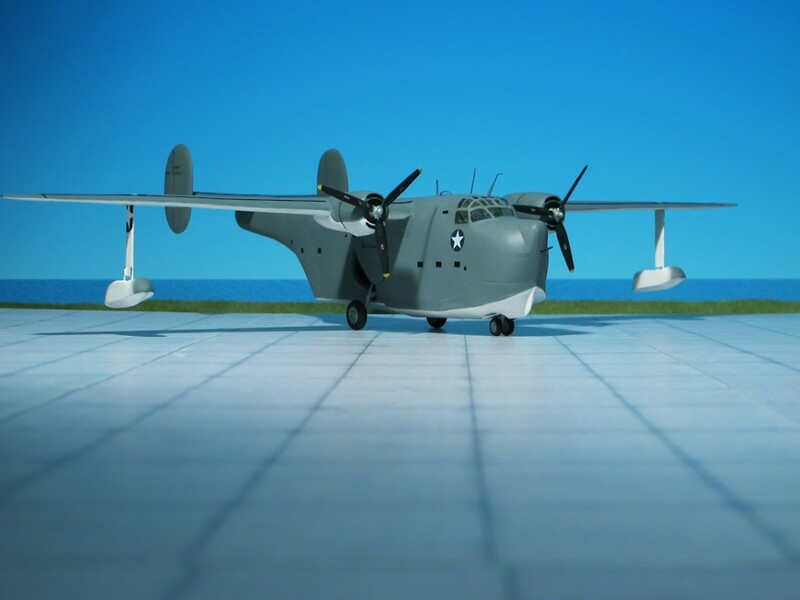 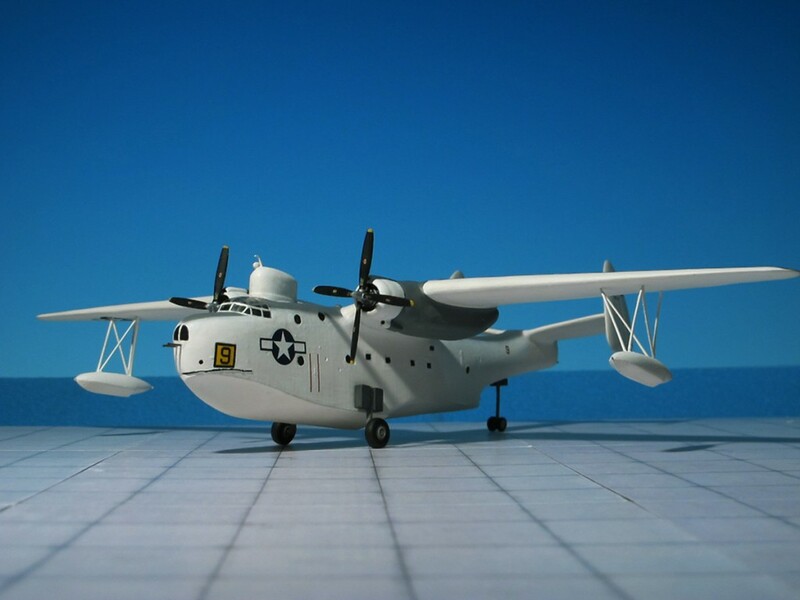 One of the US Navy’s main design requirements was that the SOC “Seagull’s” replacement had to be able to operate both from ocean vessels with a single center float and from land bases with the float replaced by a wheeled landing gear. 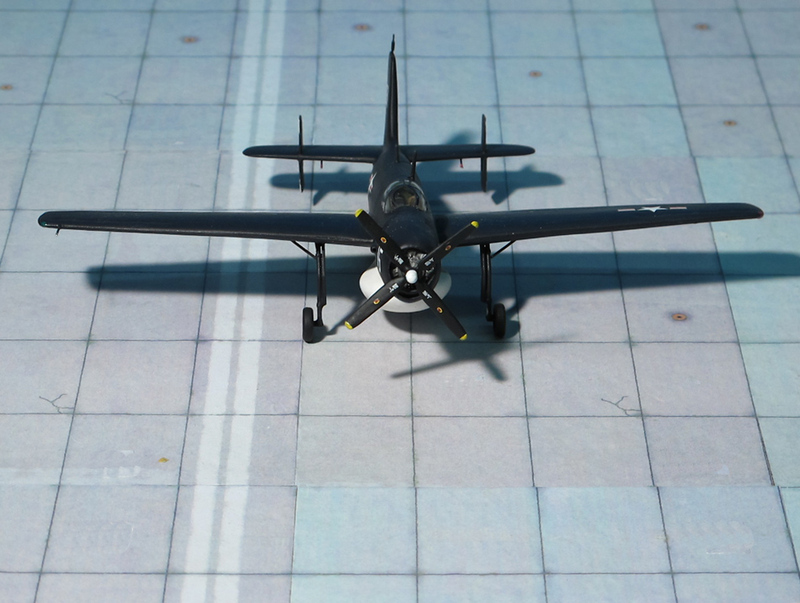 From the time it entered service the SO3C suffered two serious flaws: inflight stability problems and problems with the unique Ranger air-cooled, inverted V-shaped inline engine. 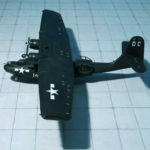 The stability problem was mostly resolved with the introduction of upturned wingtips and a larger rear tail surface that extended over the rear observer’s cockpit. 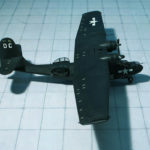 The additional tail surface was attached to the rear observer’s sliding canopy and pilots claimed there were still stability problems when the canopy was open. 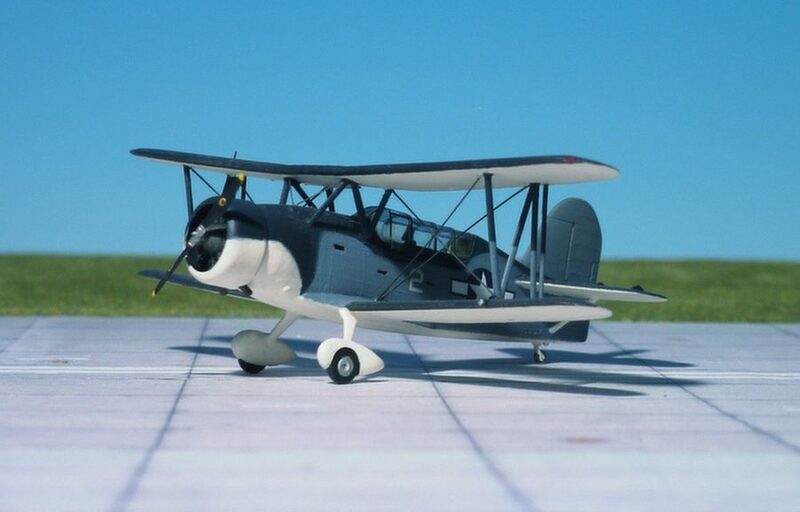 The canopy was often open because the aircraft’s main role was spotting. 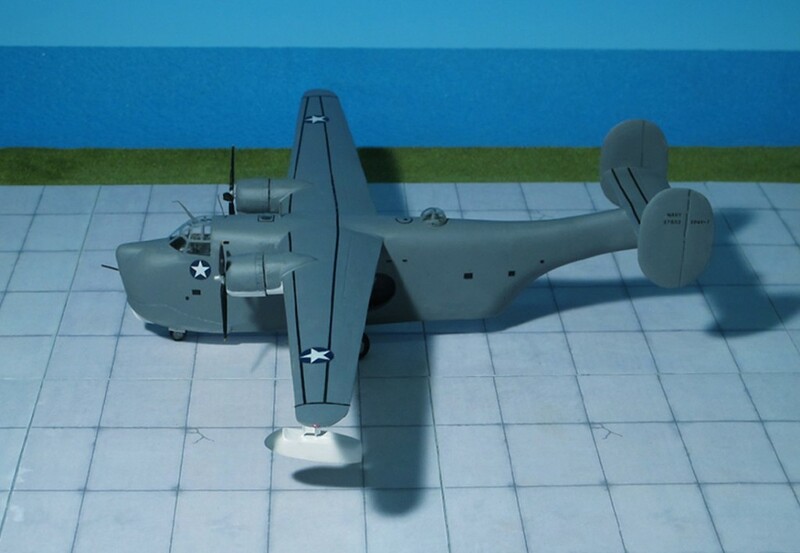 While the inflight stability problem was eventually addressed (although not fully solved), the Ranger XV-770 engine proved a dismal failure even after many attempted modifications. 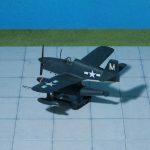 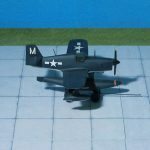 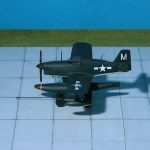 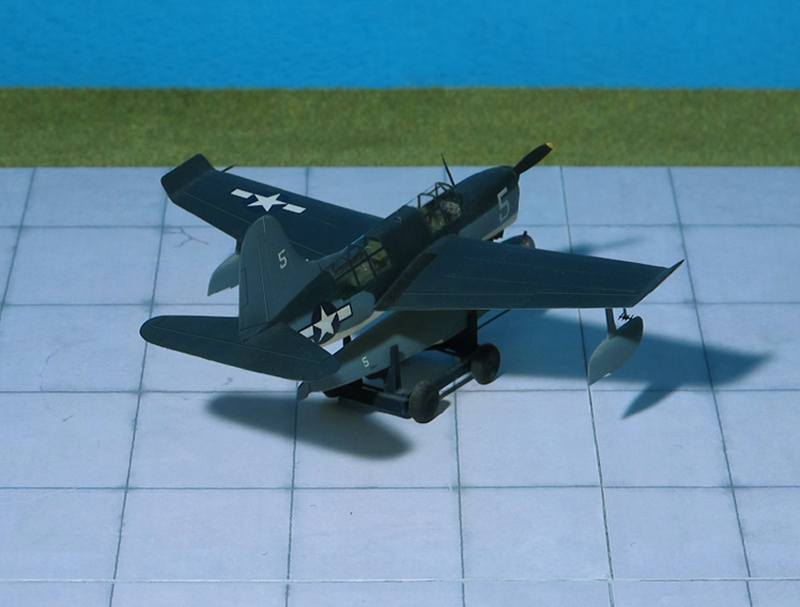 Poor flight performance and a poor maintenance record led to the SO3C being withdrawn from US Navy first line units by 1944. 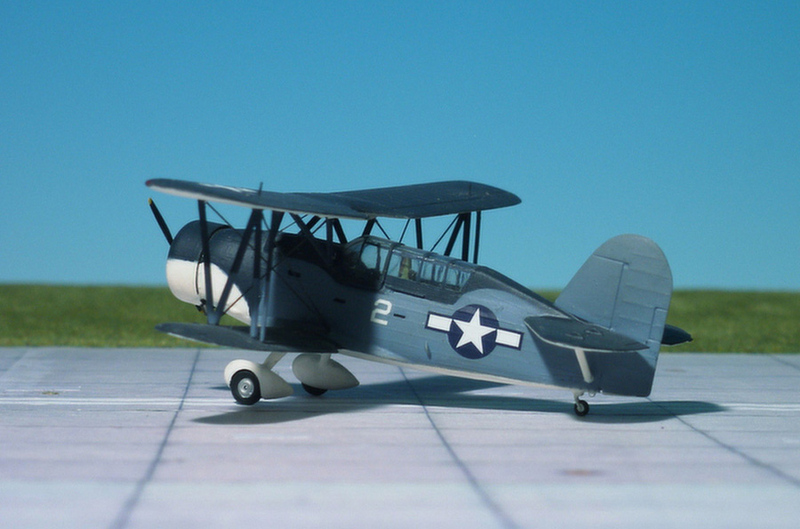 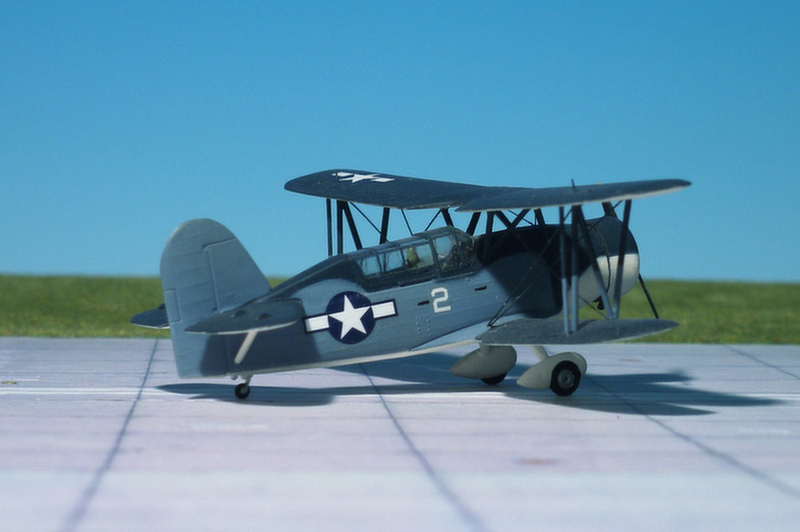 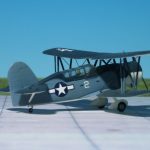 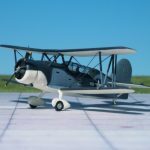 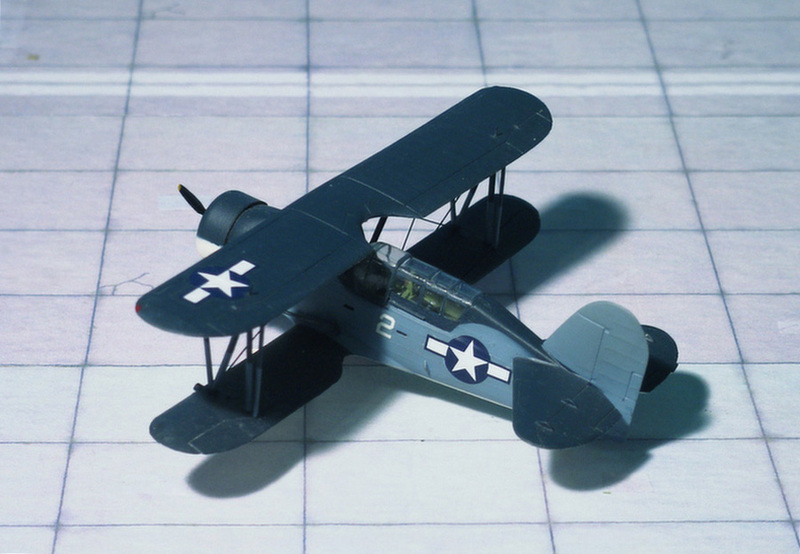 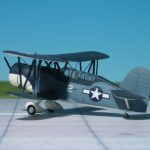 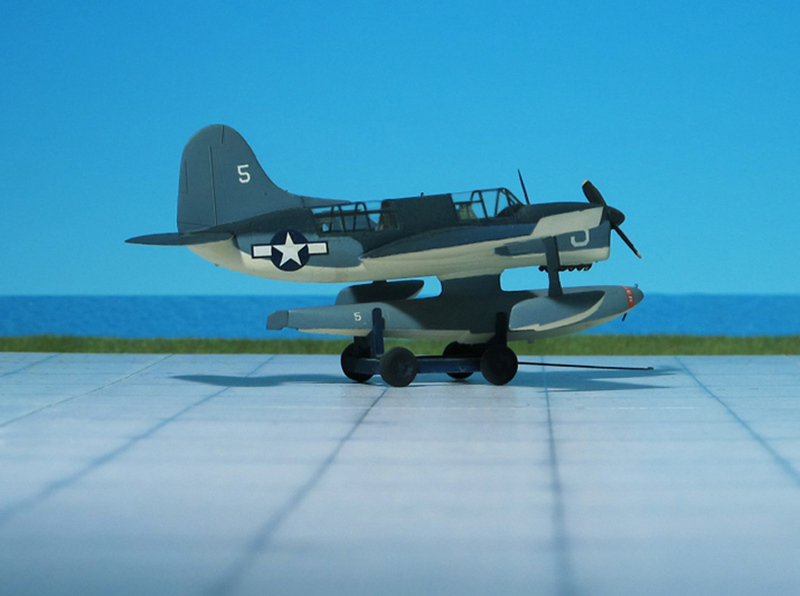 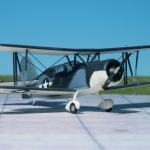 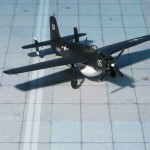 The older biplane Curtiss SOC “Seagull” was taken from stateside training units and restored to first-line service on many US Navy warships until the end of World War II. 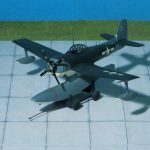 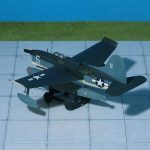 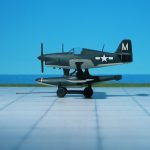 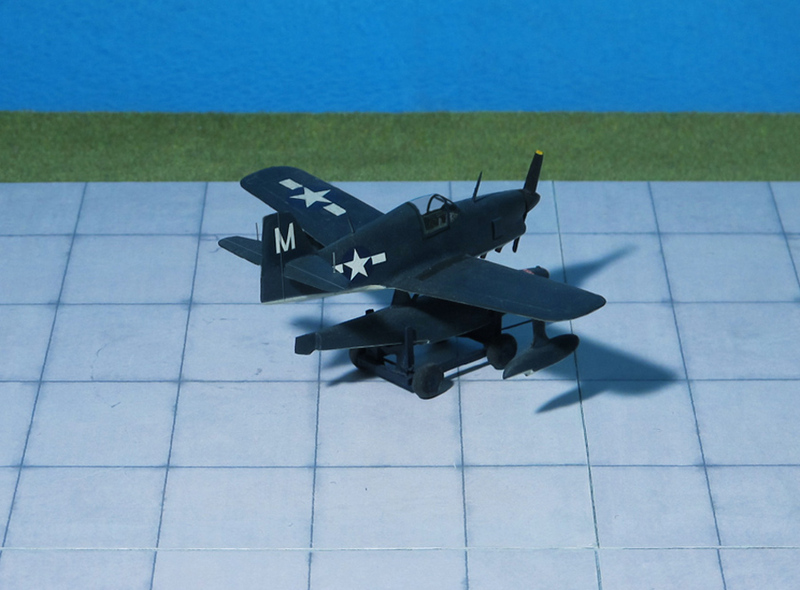 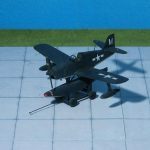 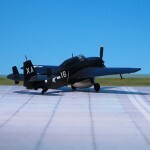 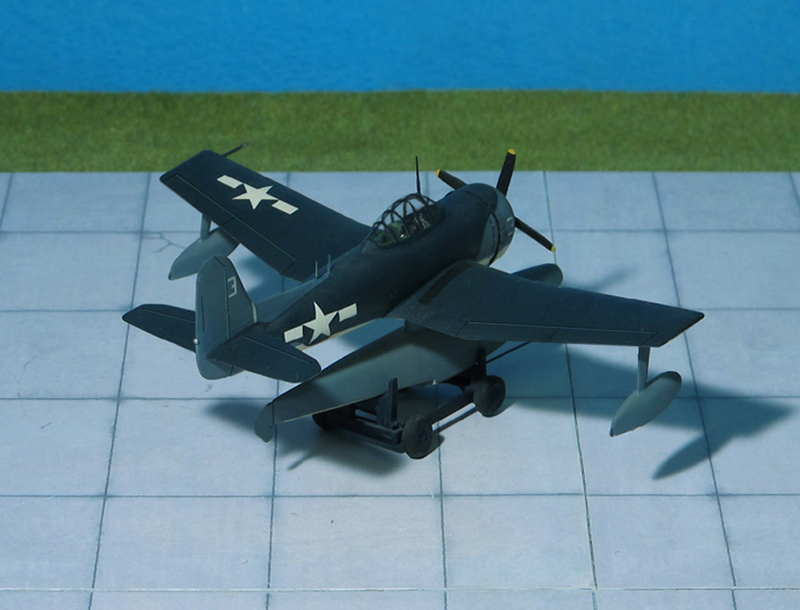 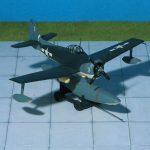 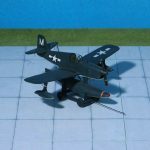 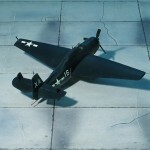 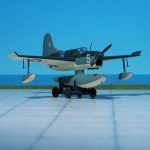 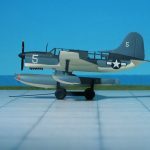 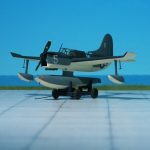 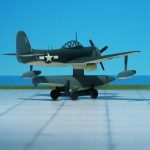 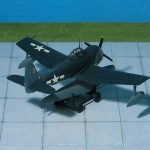 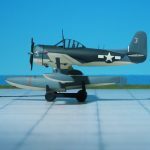 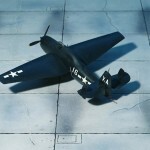 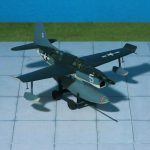 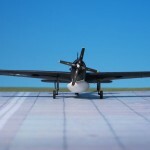 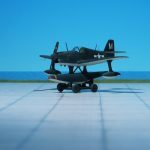 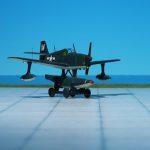 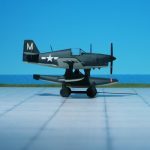 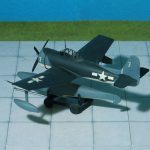 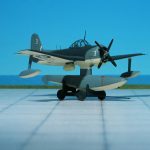 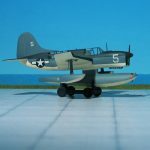 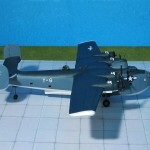 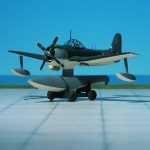 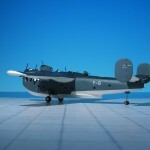 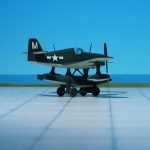 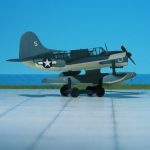 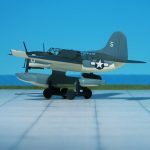 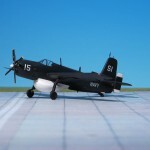 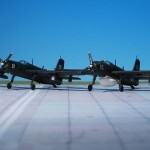 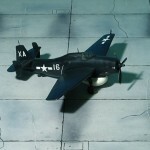 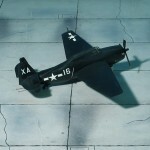 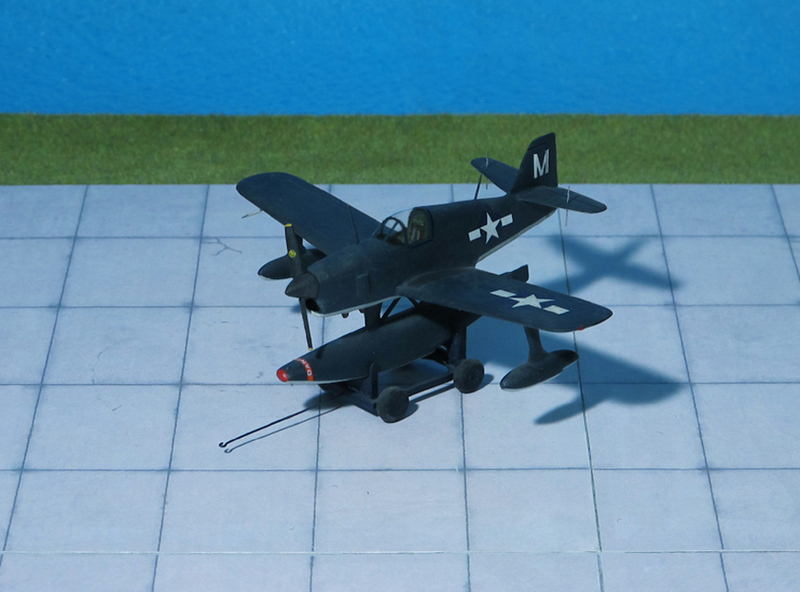 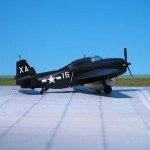 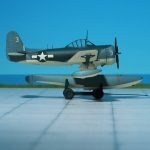 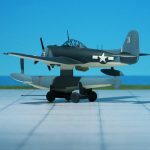 In total 795 Curtiss SO3C “Seamew’s”have been built (Ref. 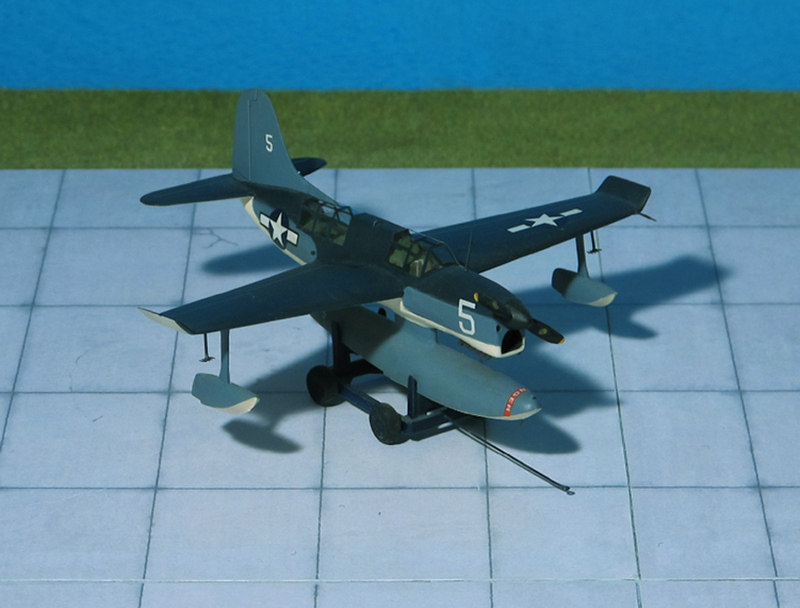 : 24). 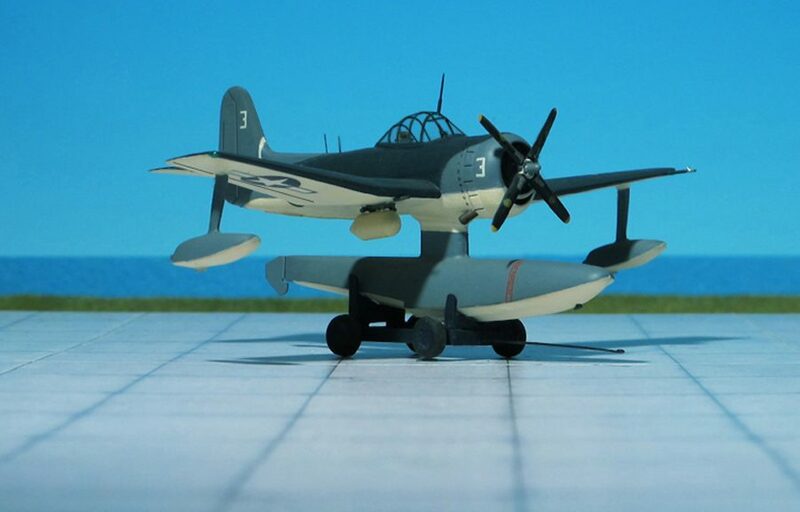 COMMENT: The Edo OSE was a 1940s American single-seat multi-role floatplane designed and manufactured by the Edo Aircraft Corporation. 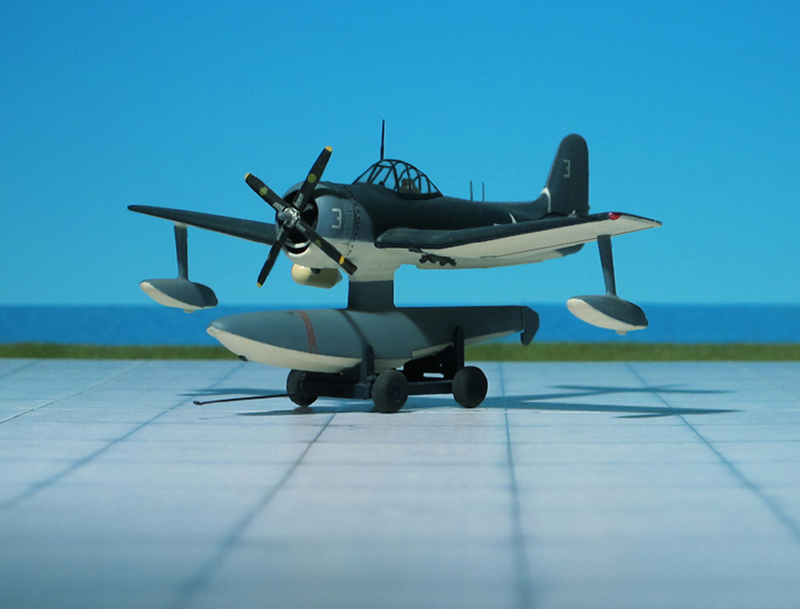 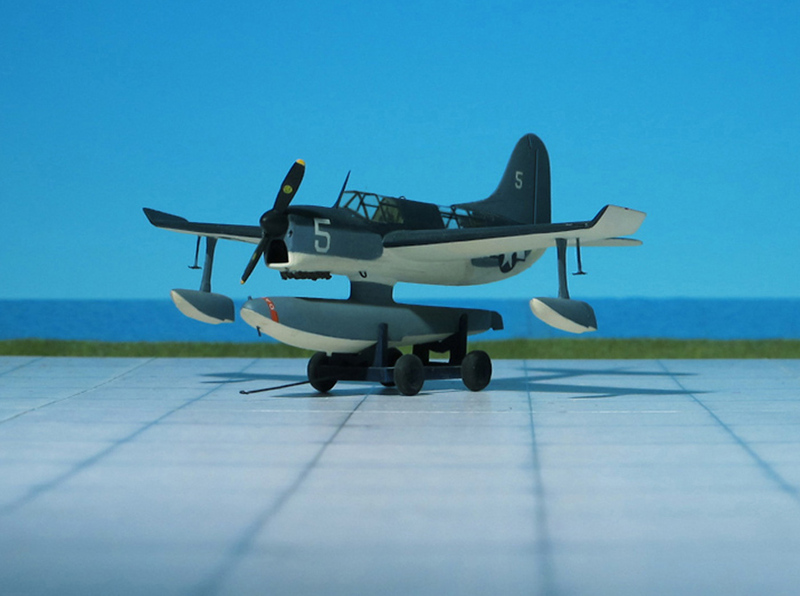 The Edo Aircraft Corporation was an established company that produced seaplane floats. 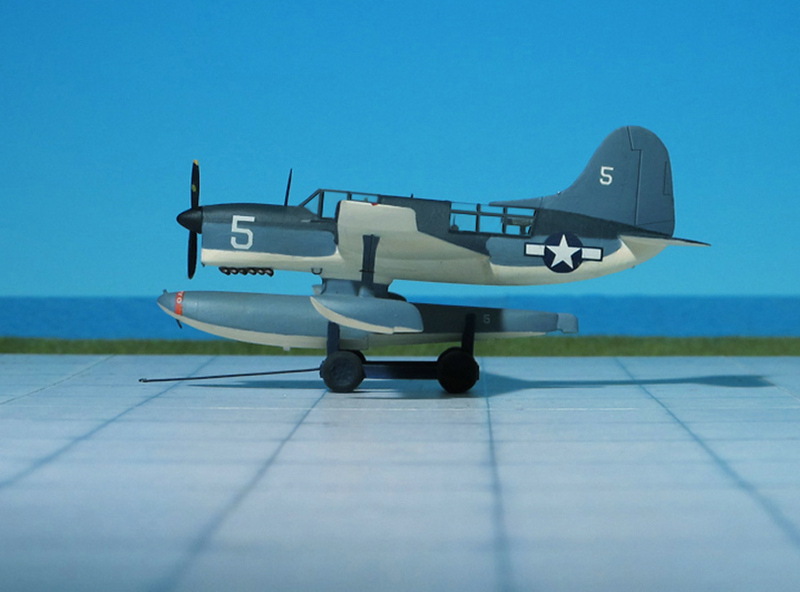 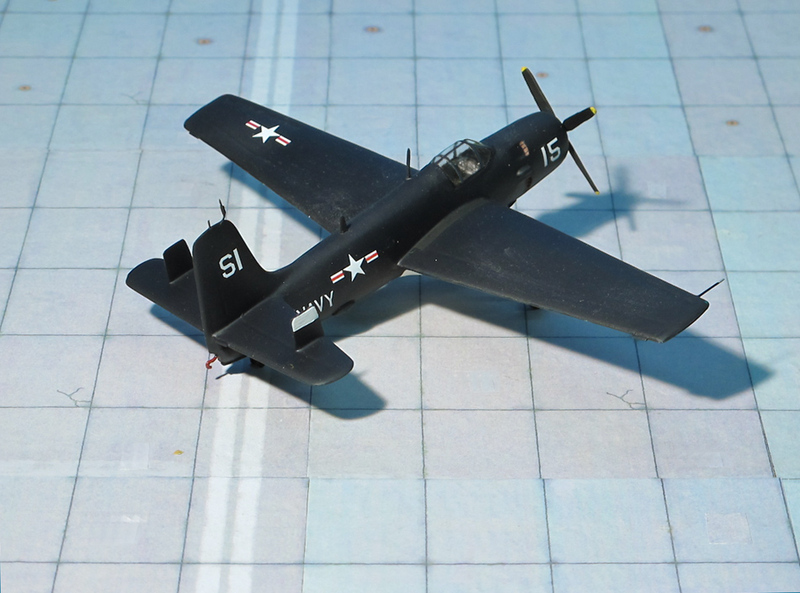 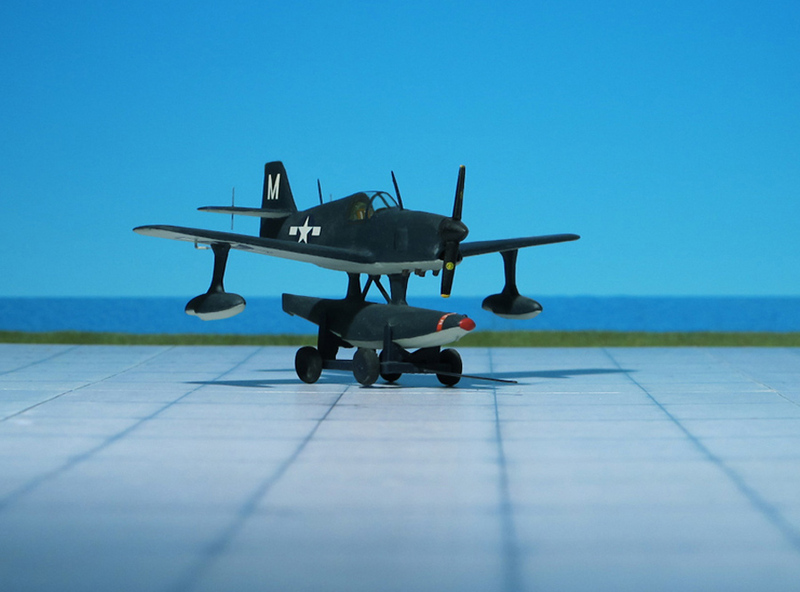 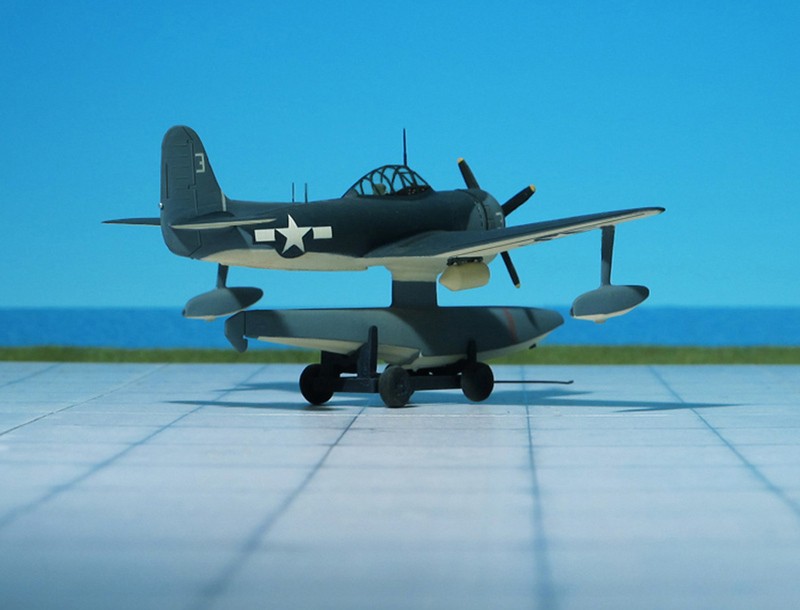 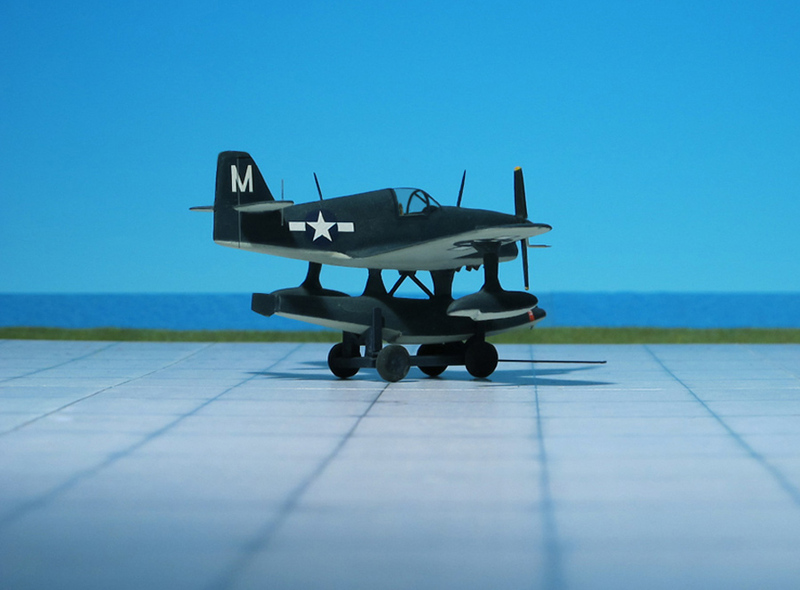 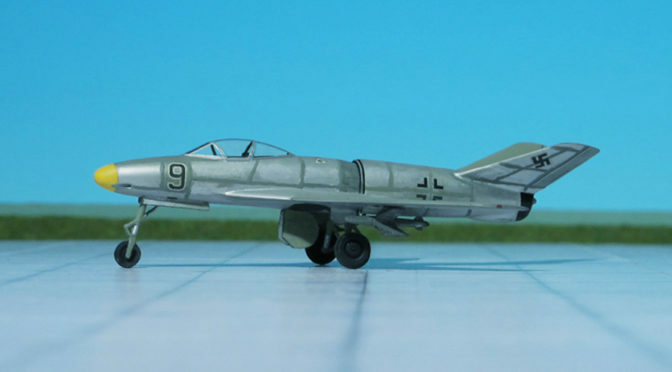 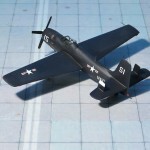 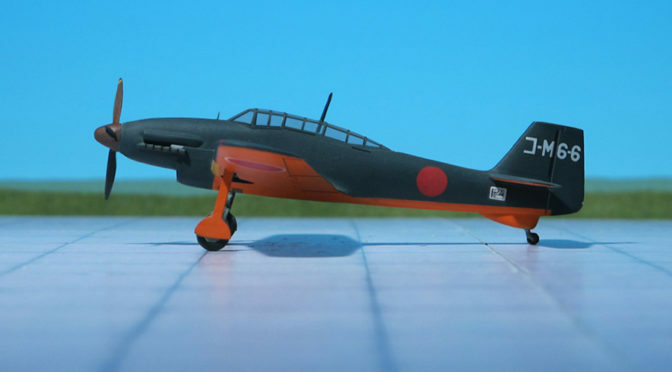 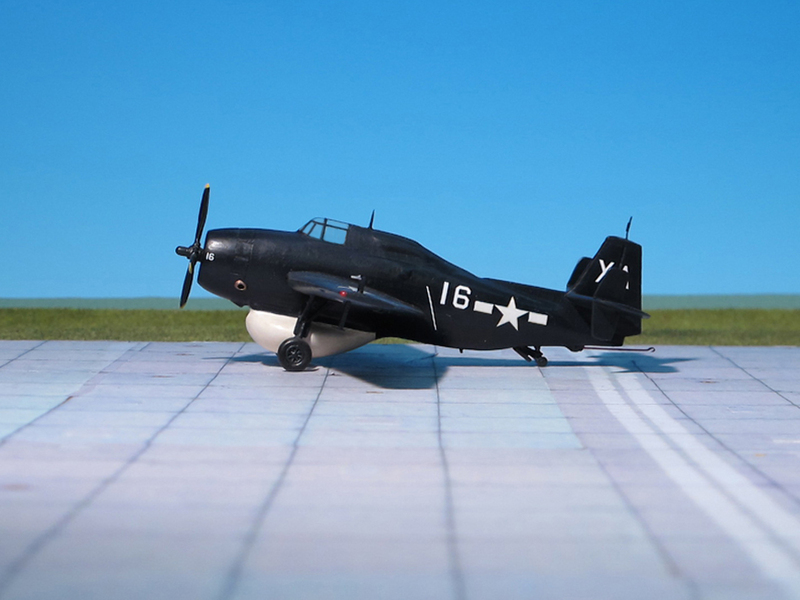 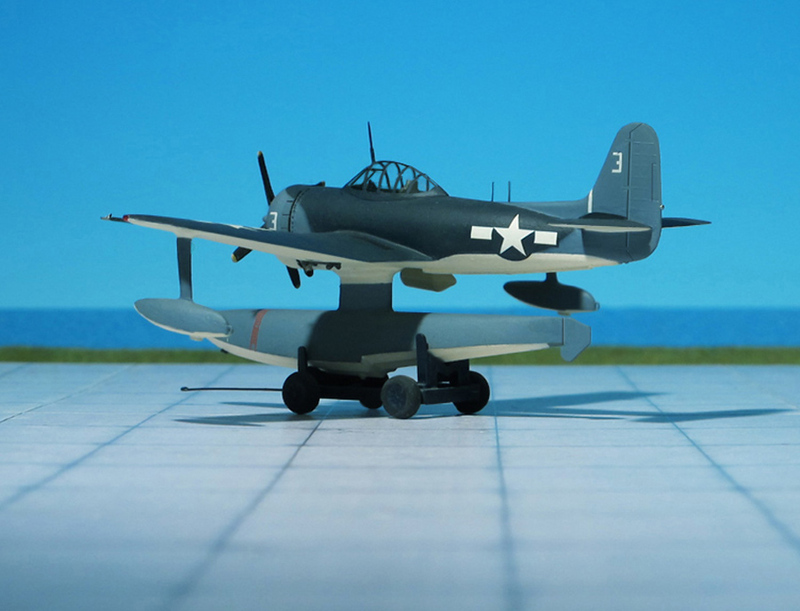 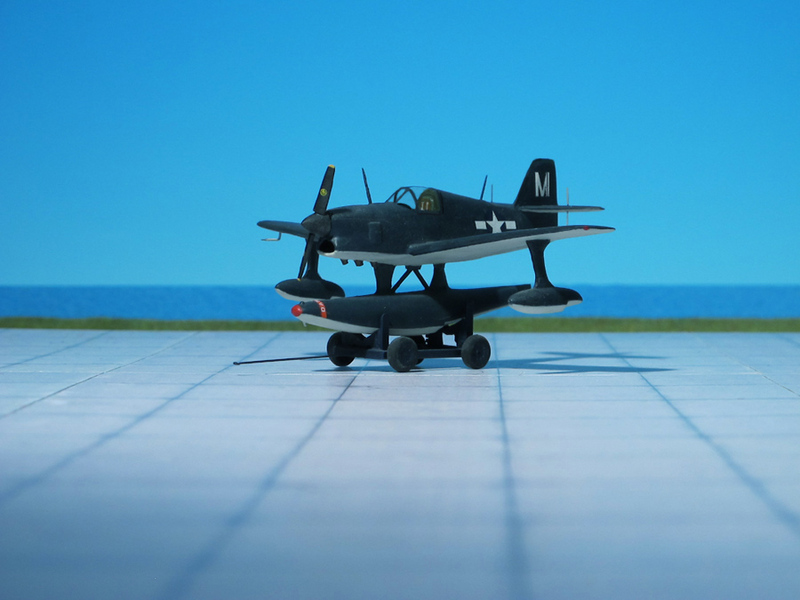 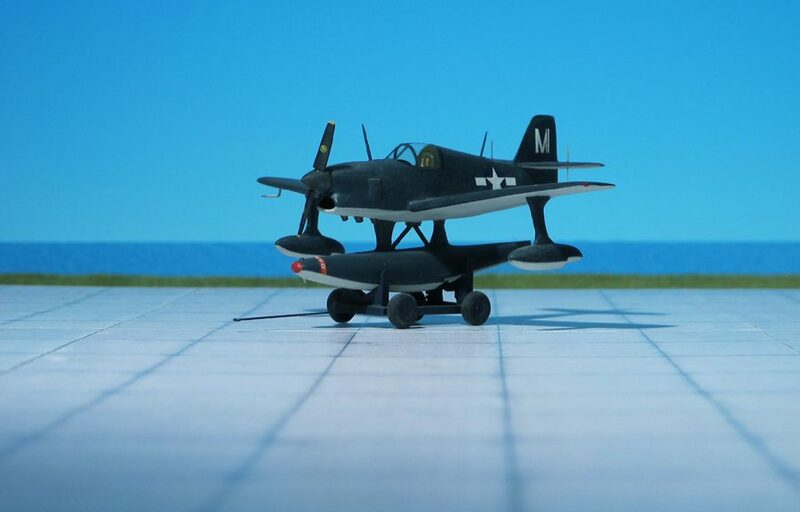 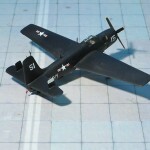 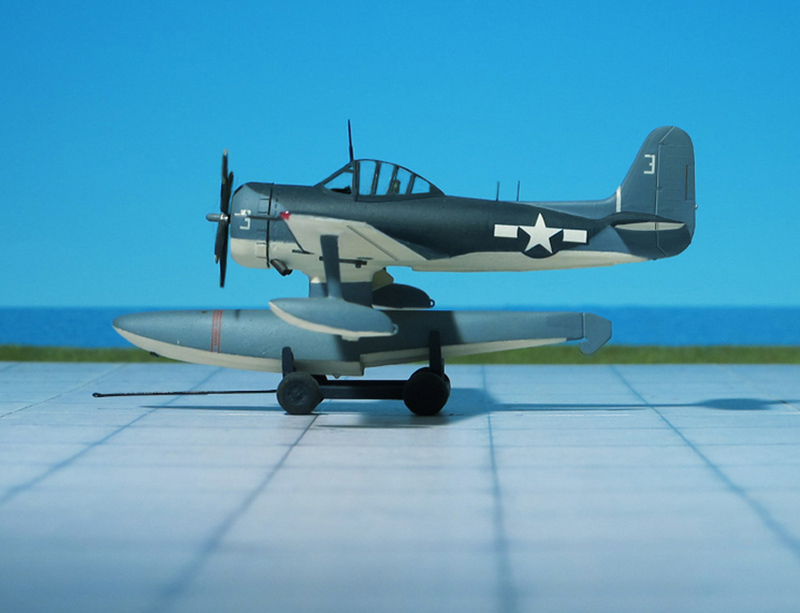 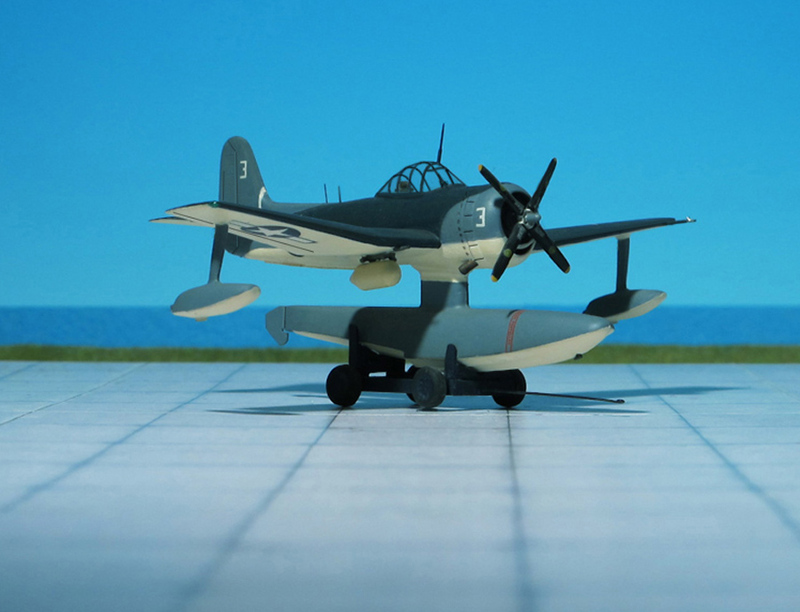 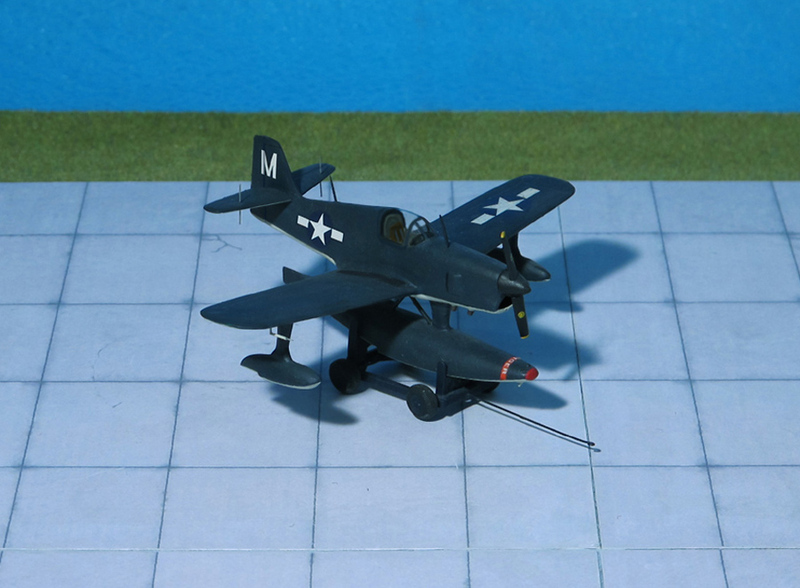 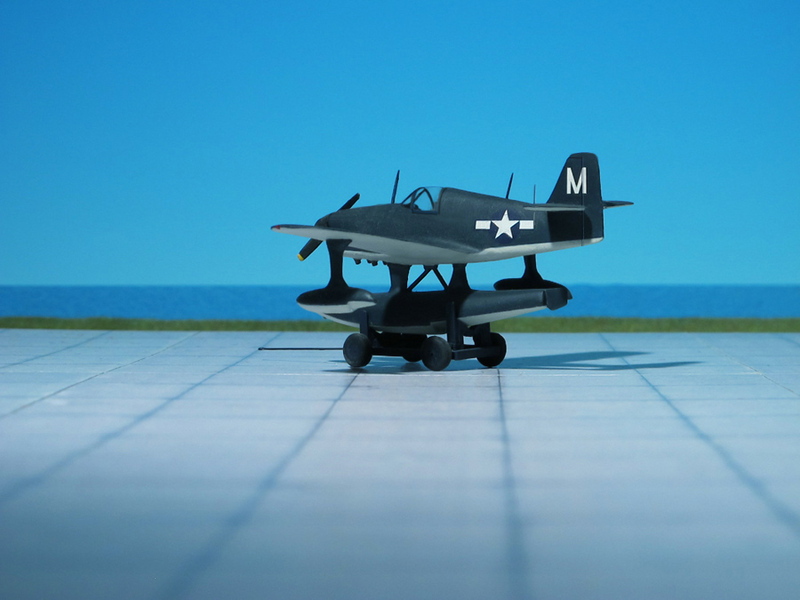 In 1946, Edo designed its first aircraft, the Edo OSE. 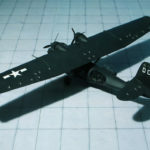 Two prototype aircraft designated XOSE-1 were built and flown in 1946. 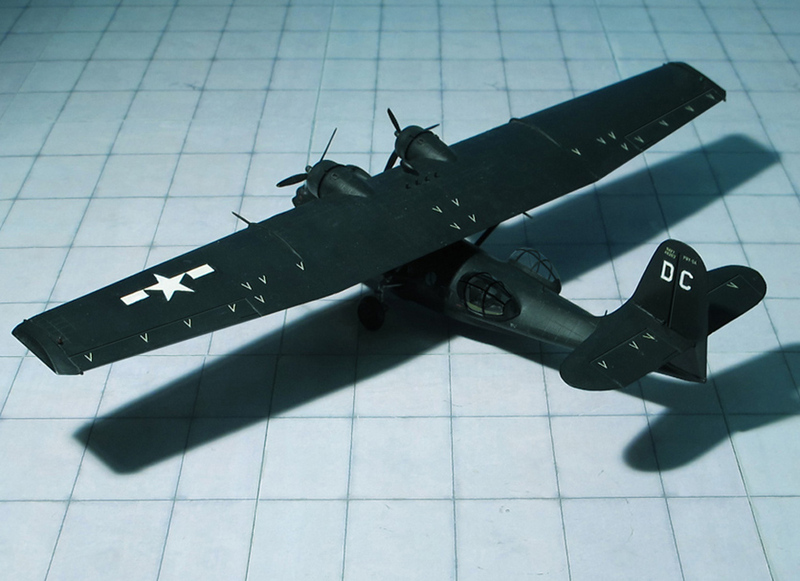 The XOSE-1 was a single-seat low-wing cantilever monoplane with a single float and fixed wingtip stabilizing floats. 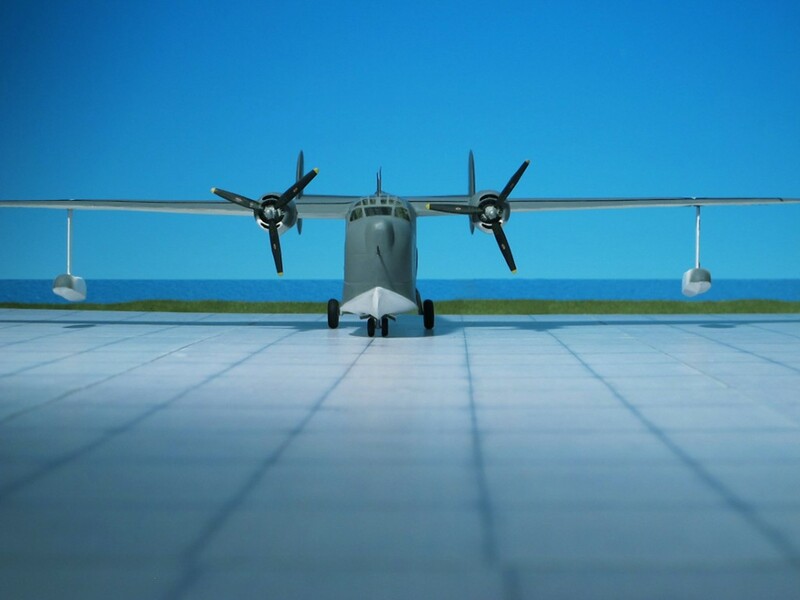 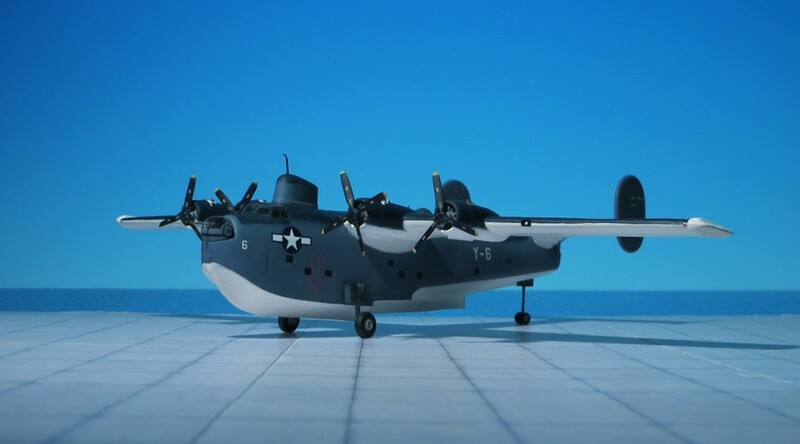 The wings could be folded for shipboard storage. 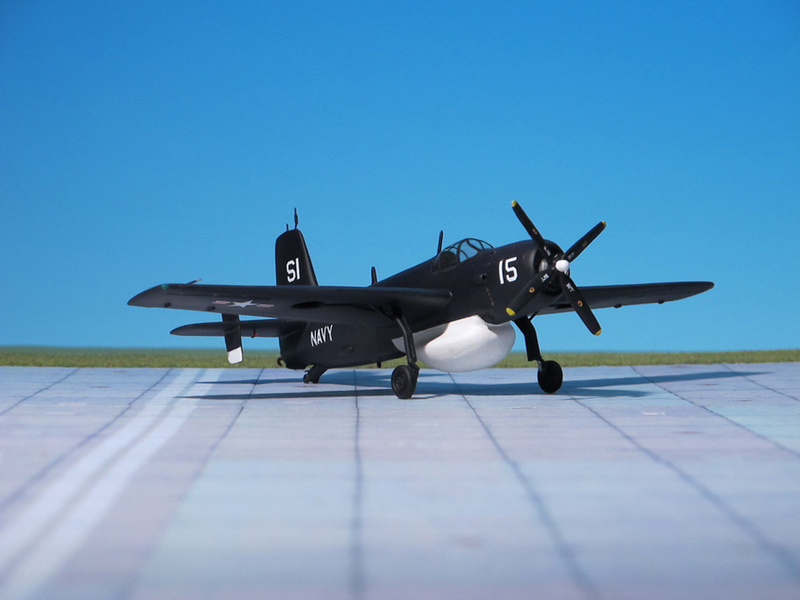 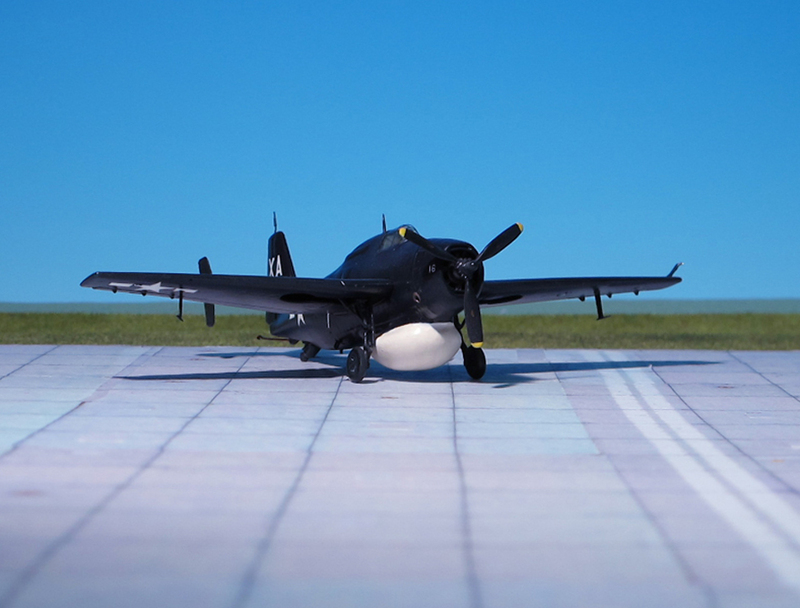 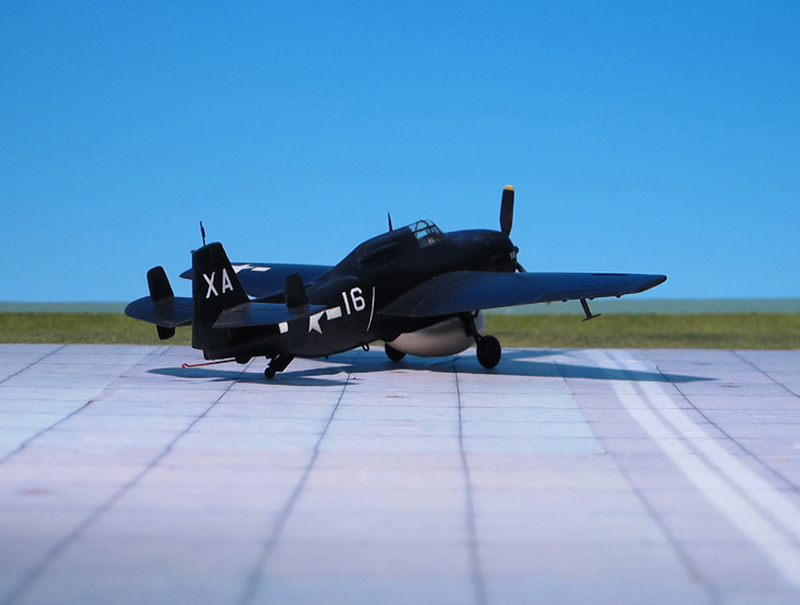 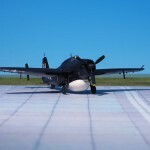 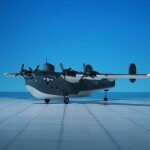 The aircraft was designed for a variety of roles including observation and anti-submarine patrols. 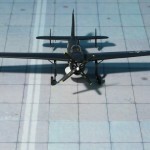 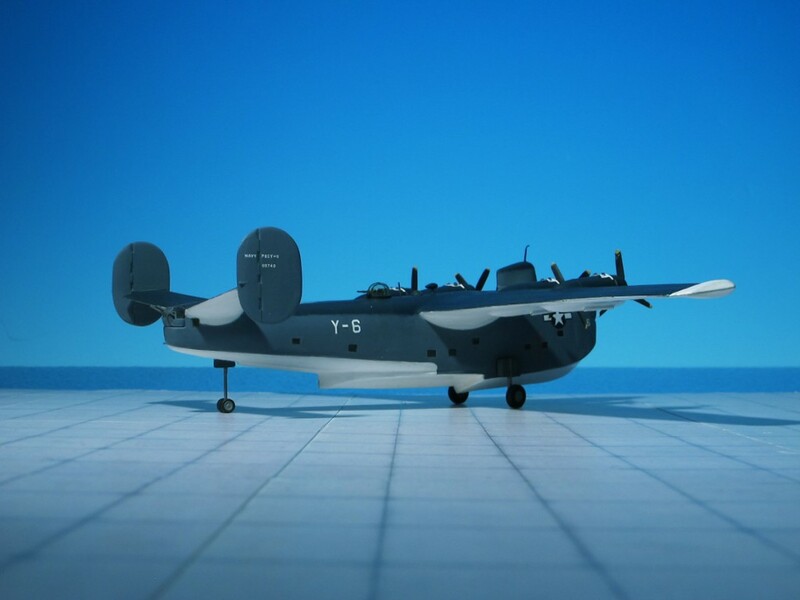 Unusually, it was designed to carry a rescue cell on the underwing hard points, which would be capable of carrying a single person when used for air-sea rescue. 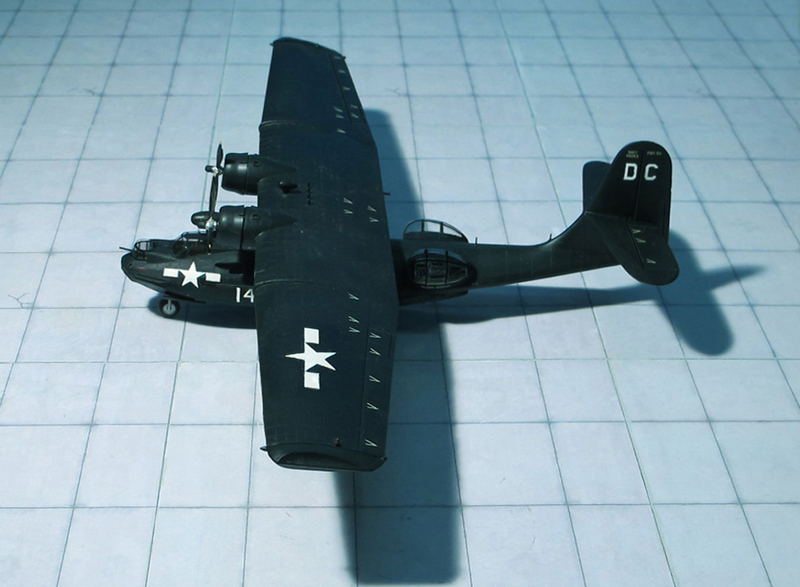 Eight production aircraft XOSE-1 were built to a United States Navy order but none were accepted into service. 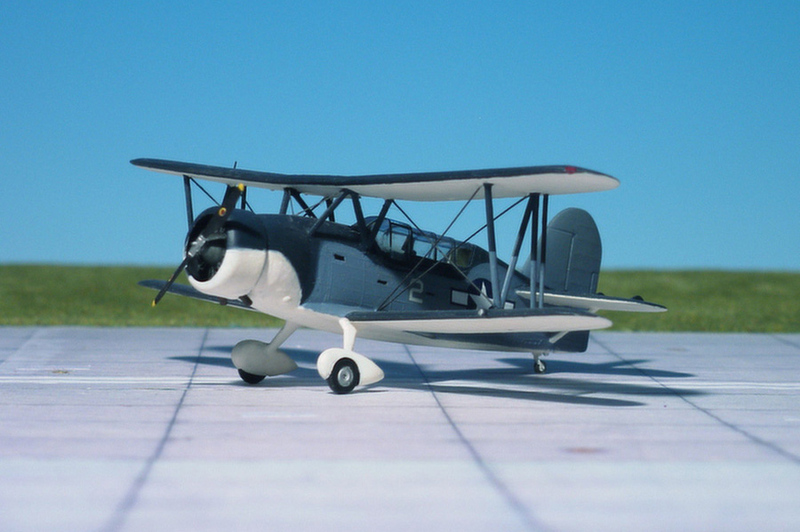 A two-seat training conversion was carried out as the XTE-1, but production TE-2 aircraft were cancelled (Ref. 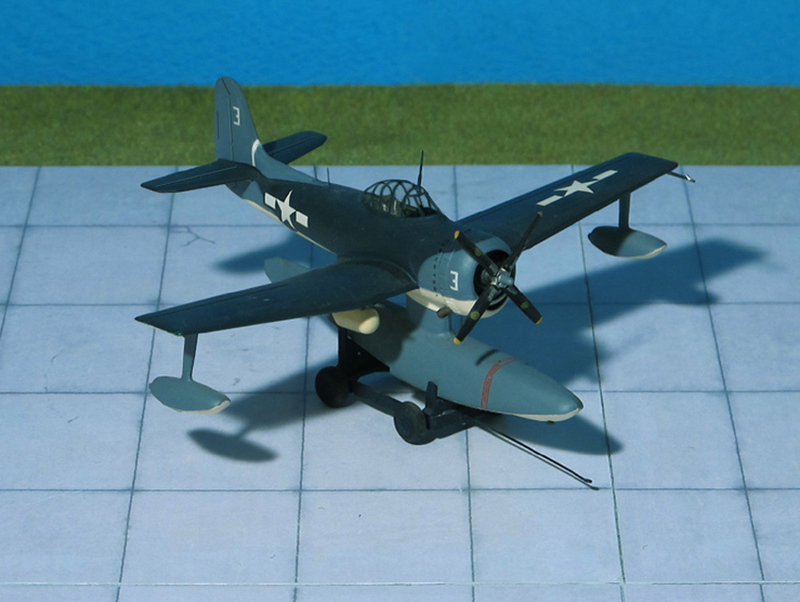 : 24). 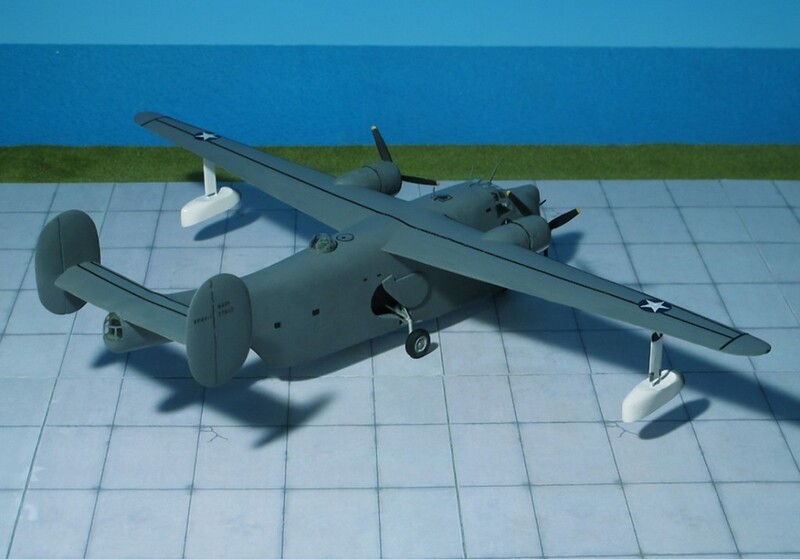 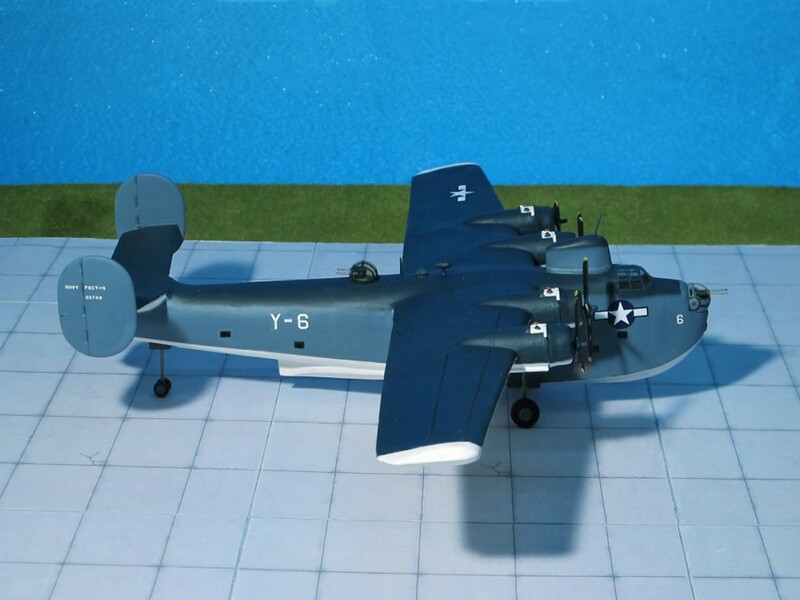 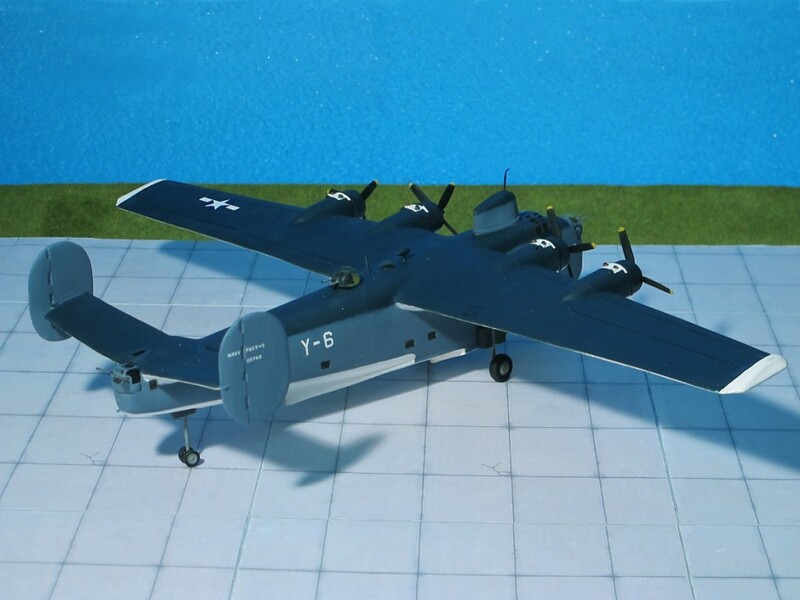 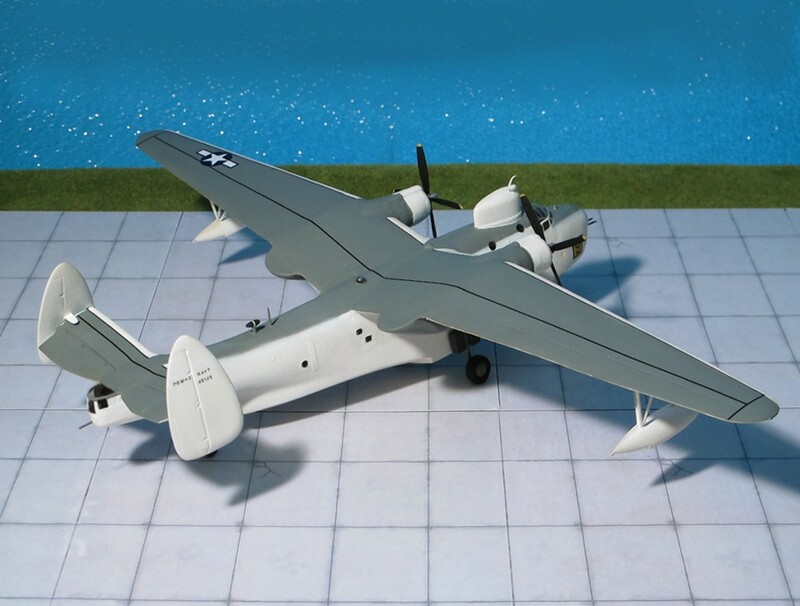 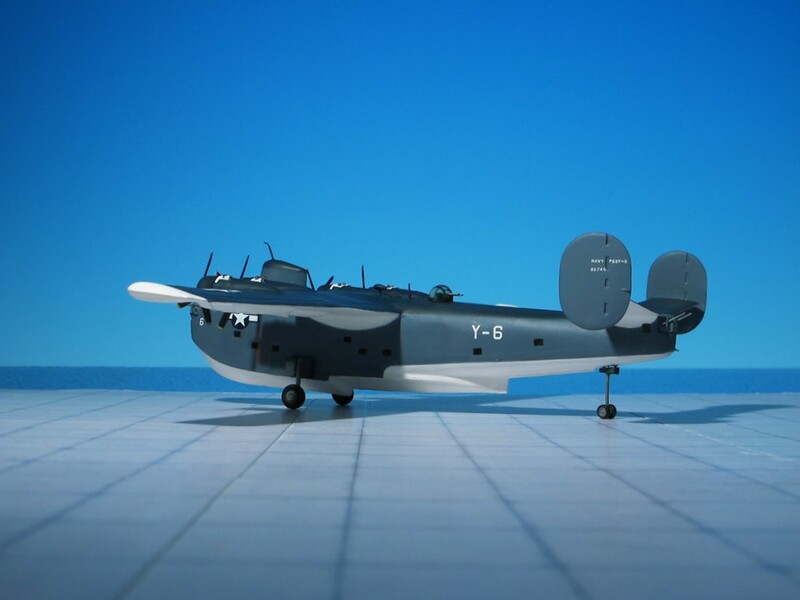 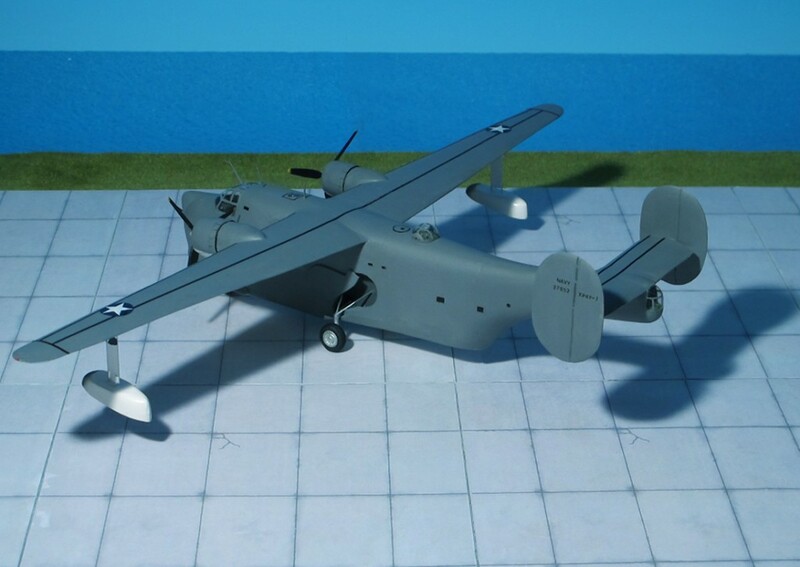 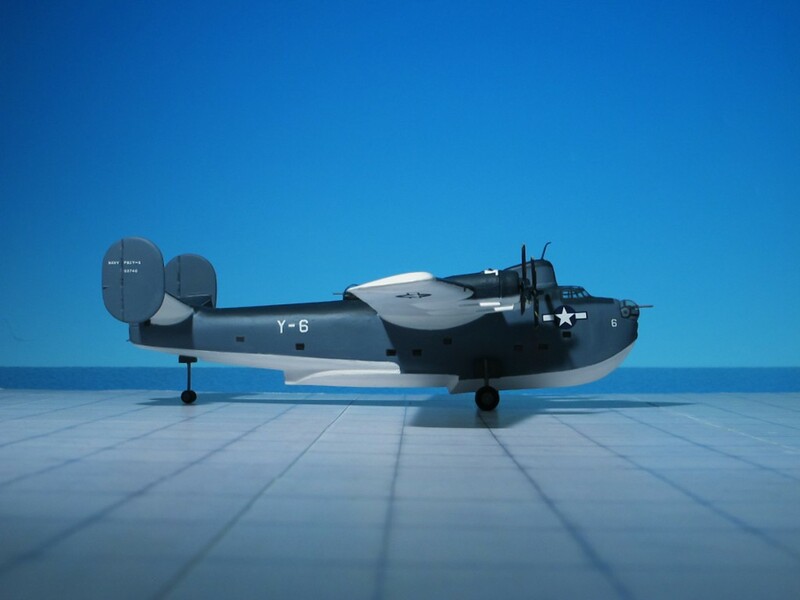 COMMENT: The Consolidated XP4Y-1 shore-based patrol, torpedo-bomber and minelayer flying boat, unofficially dubbed “Corregidor”, was a military version of the Consolidated “Model 31”. 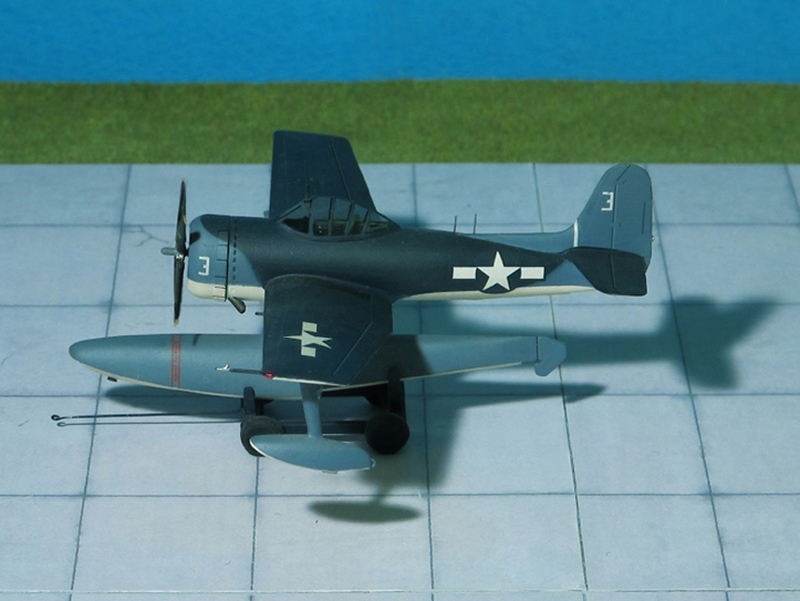 The prototype of the Model 31 was completed in 1939, and was intended for both civil and military roles. 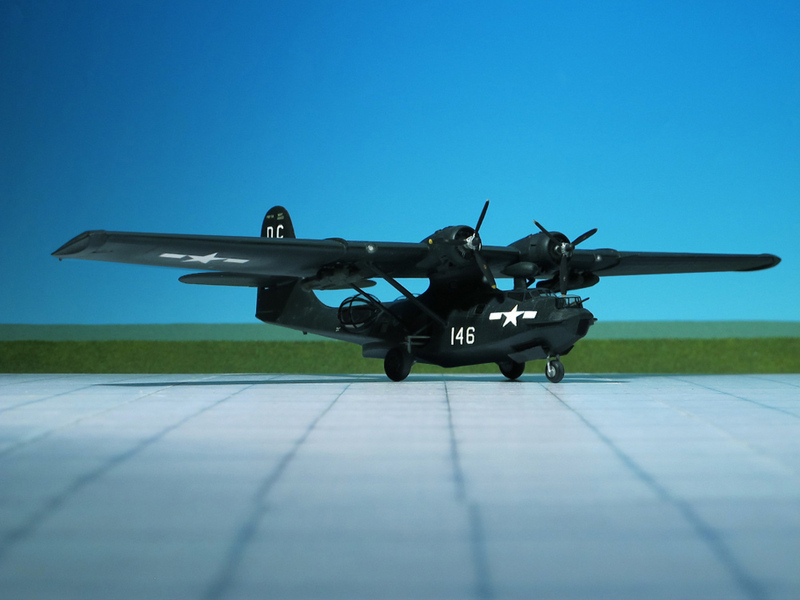 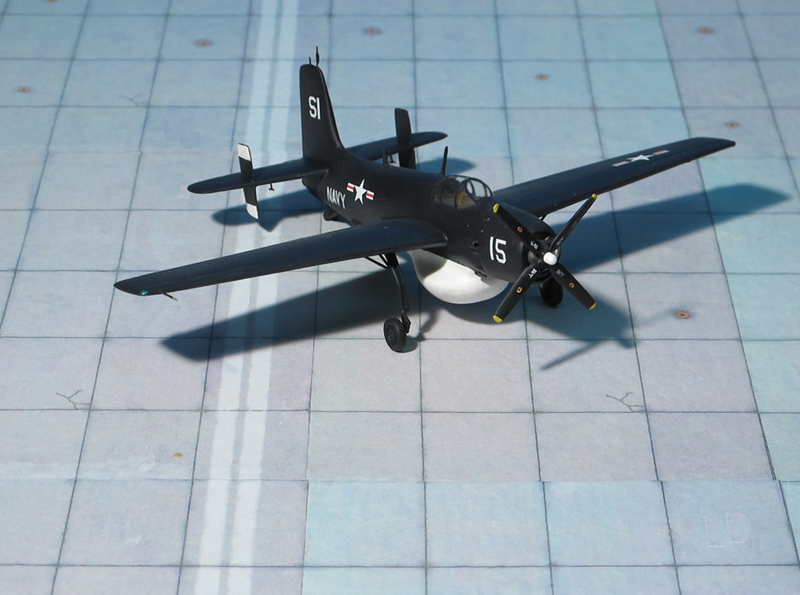 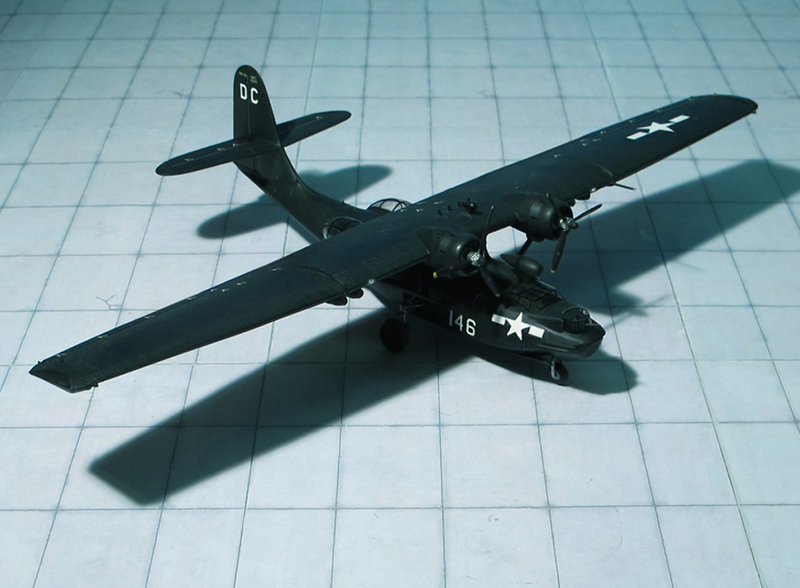 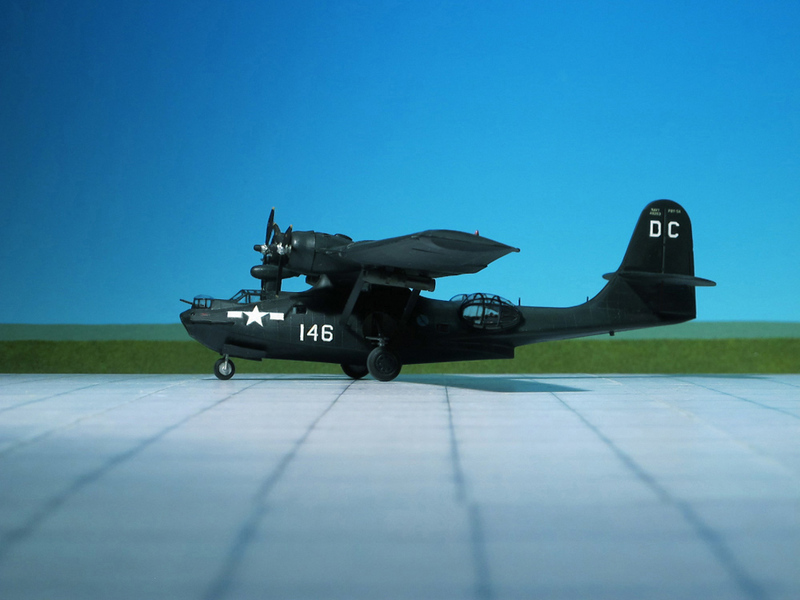 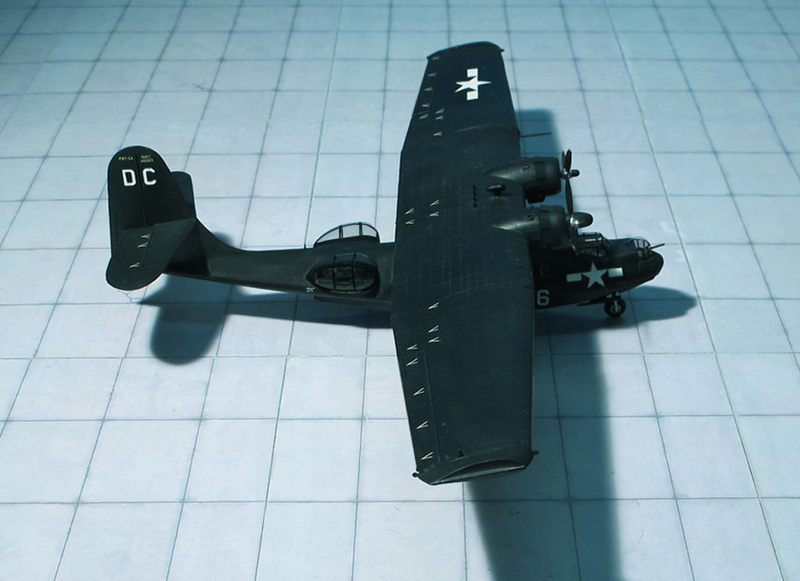 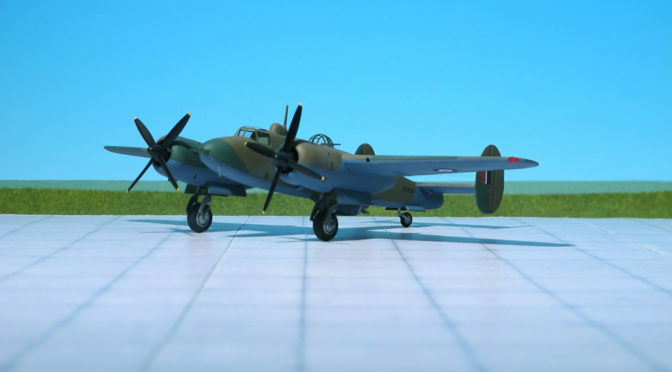 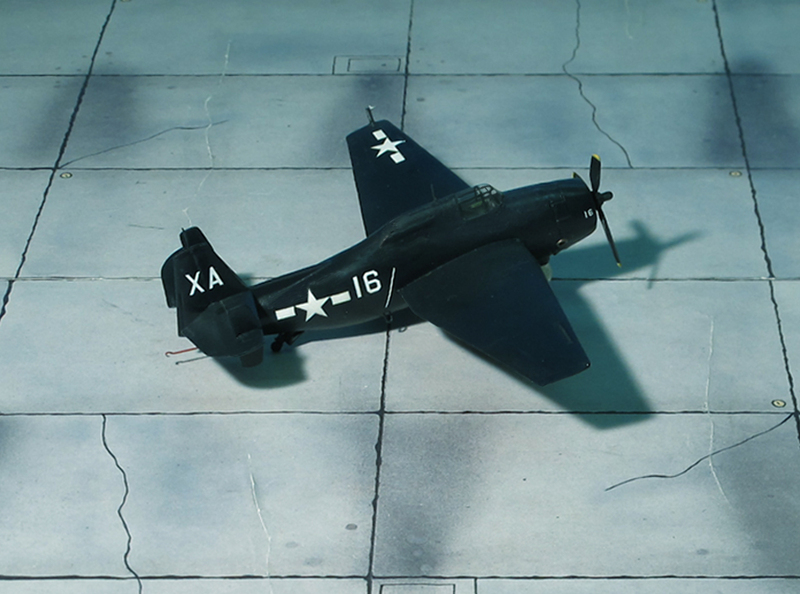 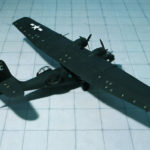 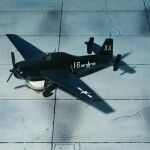 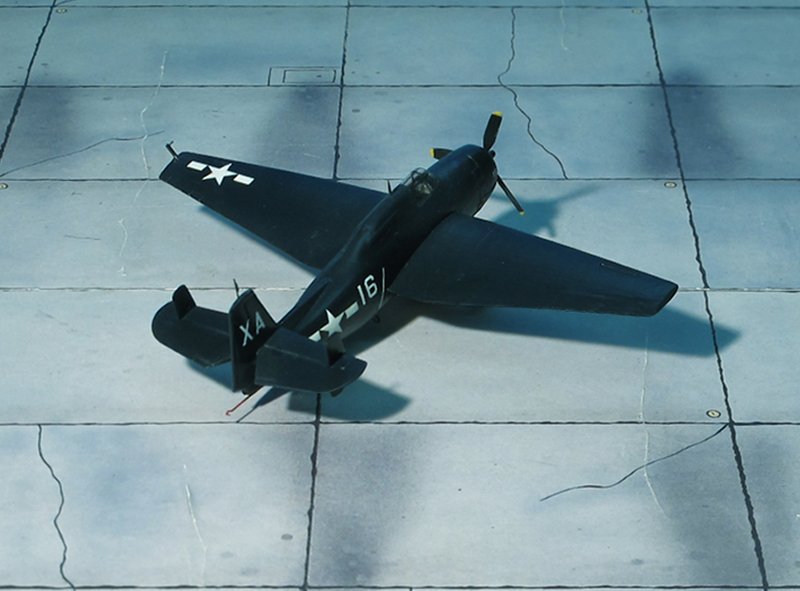 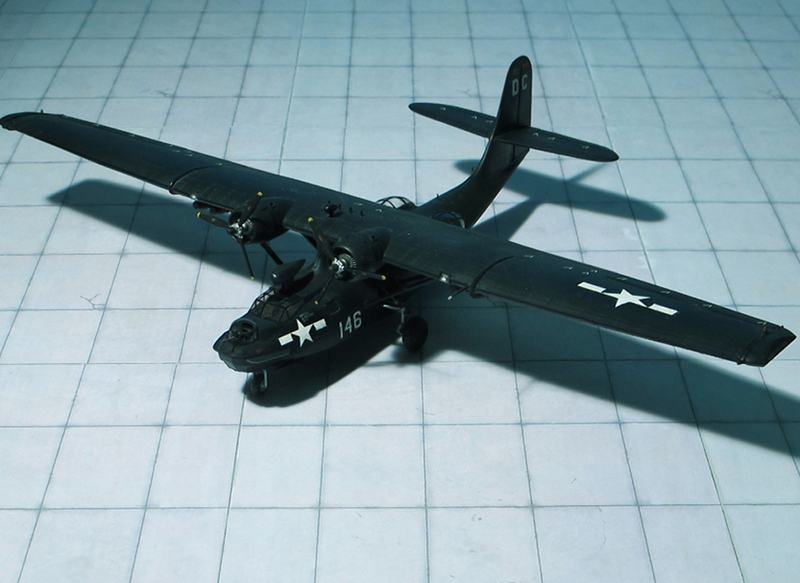 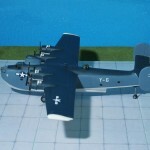 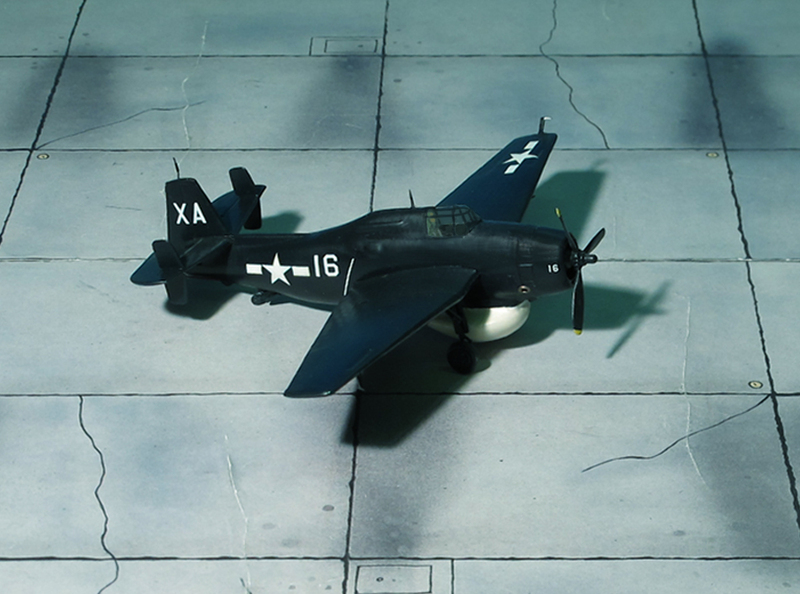 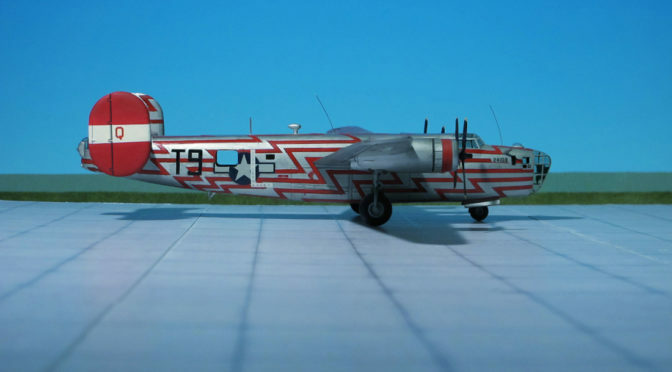 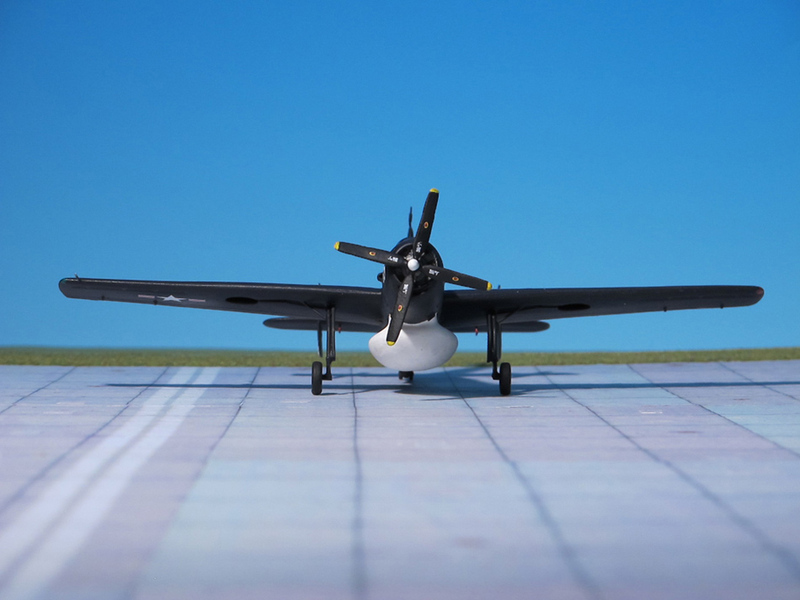 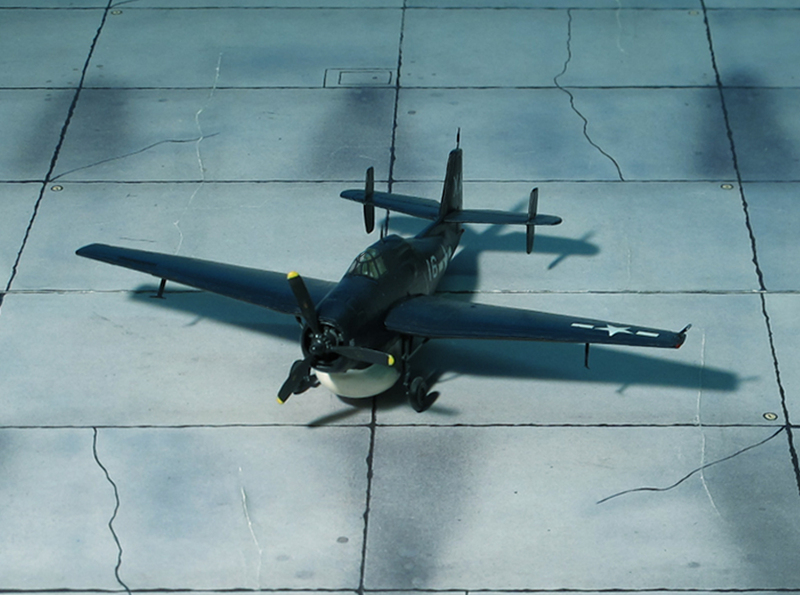 It was intensively modified during its prolonged period of testing, eventually emerging in April 1942 as the XP4Y-1. 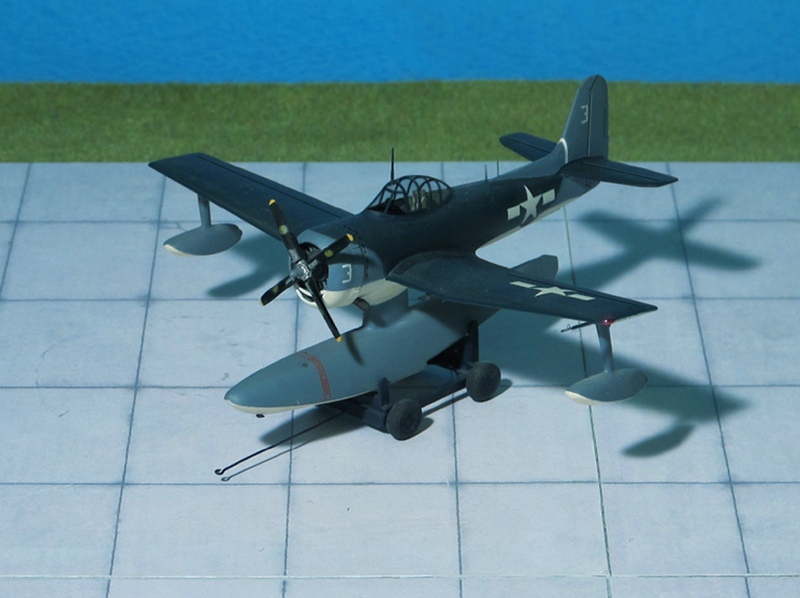 The rear fuselage was redesigned to provide for the installation of a tail turret, the modified fuselage raised the tail assembly considerably, and, subsequently, the bow of the hull was extensively redesigned, a form of cuff being added, the retractable stabilizing floats were redesigned, and dummy gun turrets were fitted. 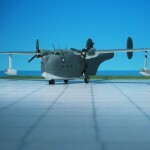 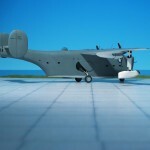 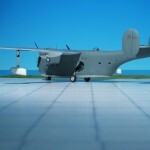 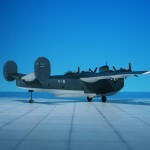 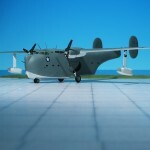 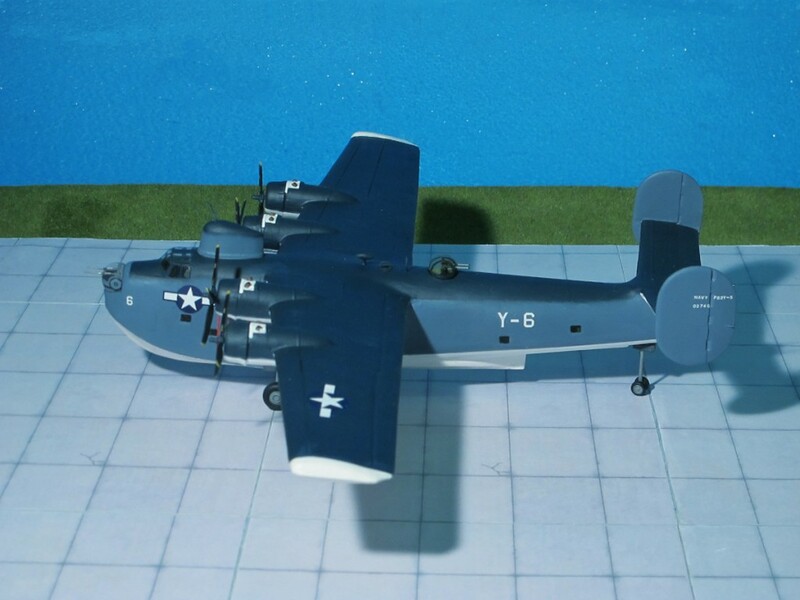 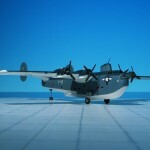 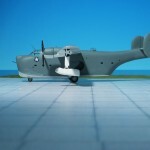 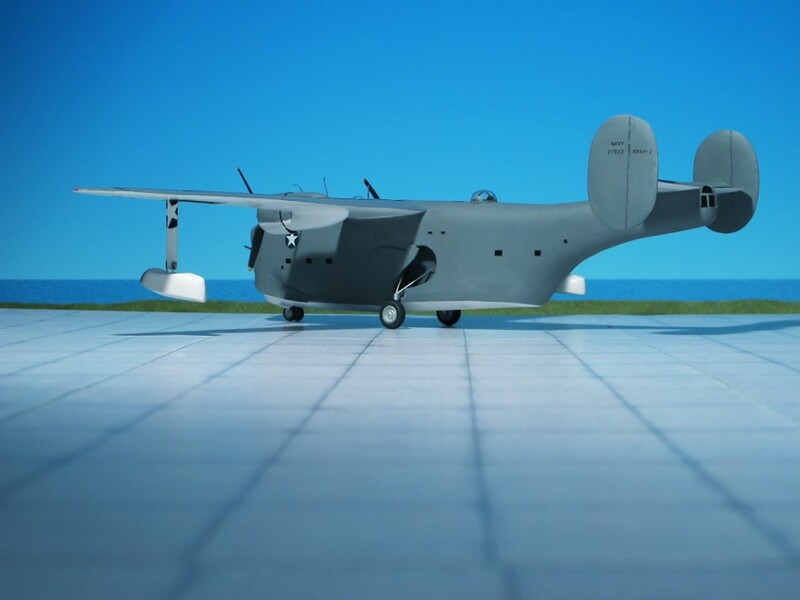 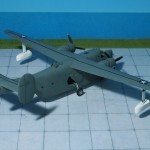 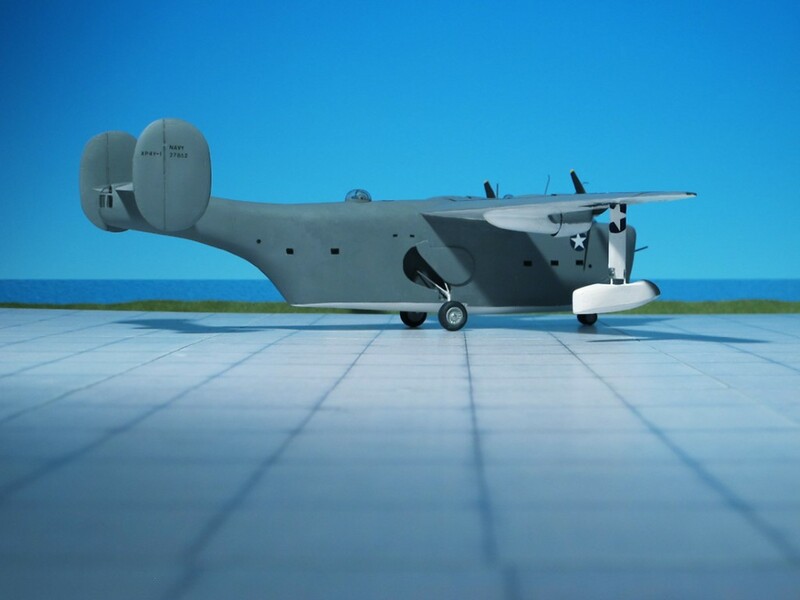 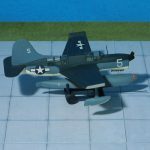 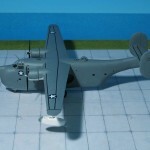 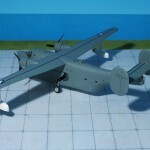 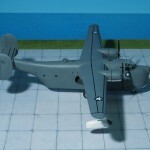 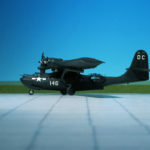 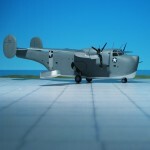 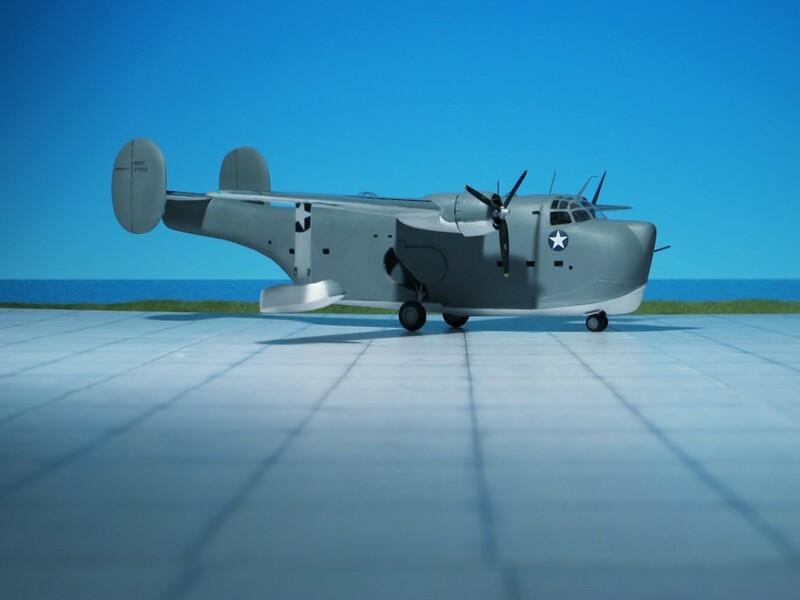 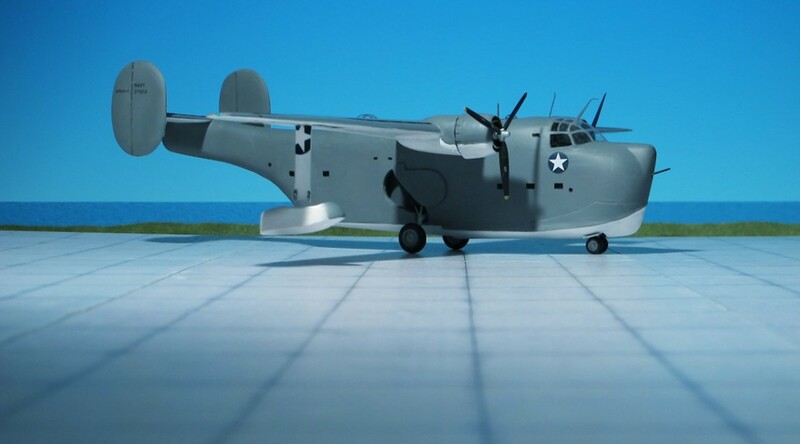 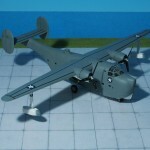 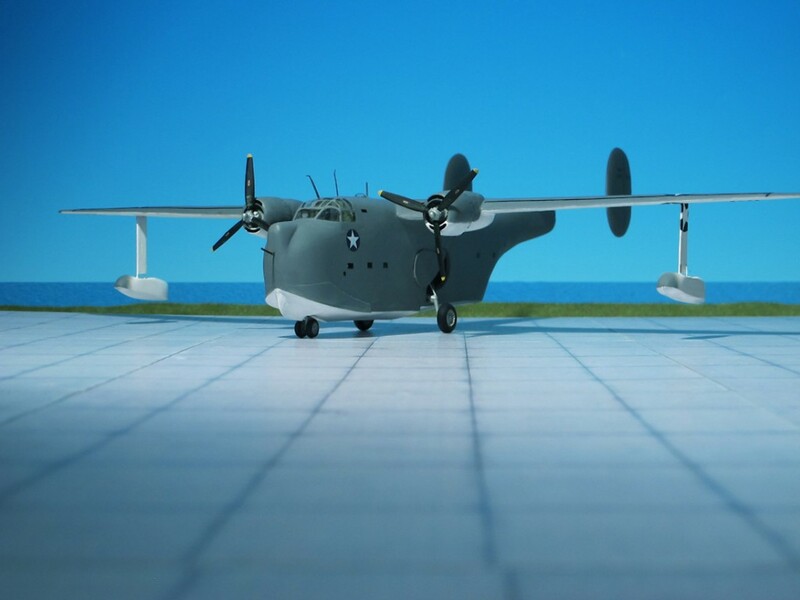 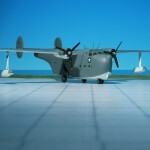 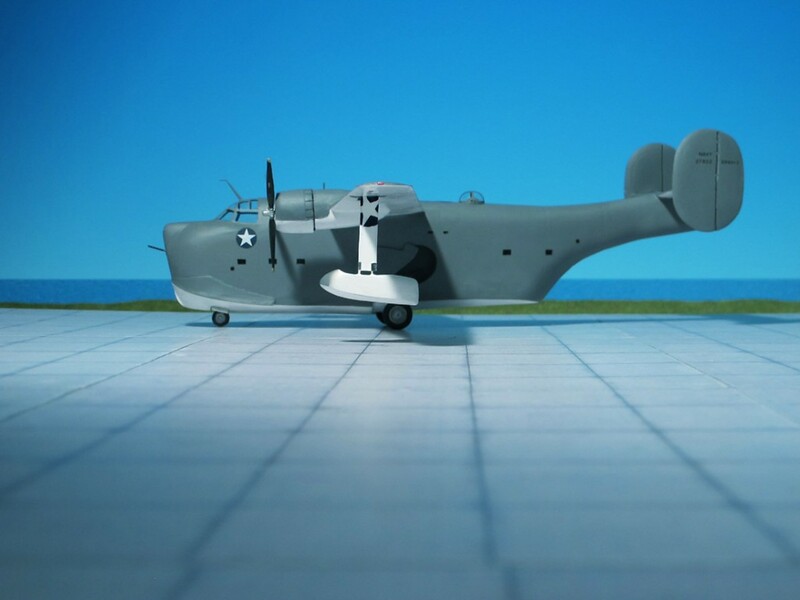 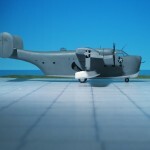 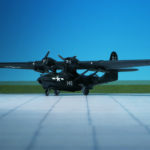 An order for 200 aircraft was placed and a special plant was established at New Orleans for quantity production of the P4Y-1. 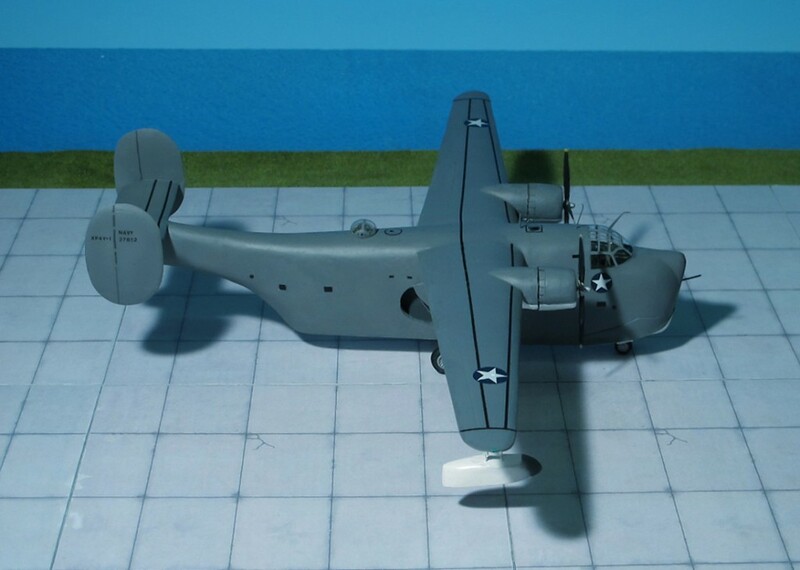 But Wright R-3350 Cyclone power plant employed by the flying boat were needed more urgently for the Boeing B-29 “Superfortress” and, in consequence, during summer of 1943 production contracts for the P4Y-1 were cancelled, the New Orleans plant subsequently building the PBY “Catalina” (Ref. 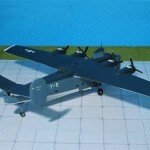 : 14). 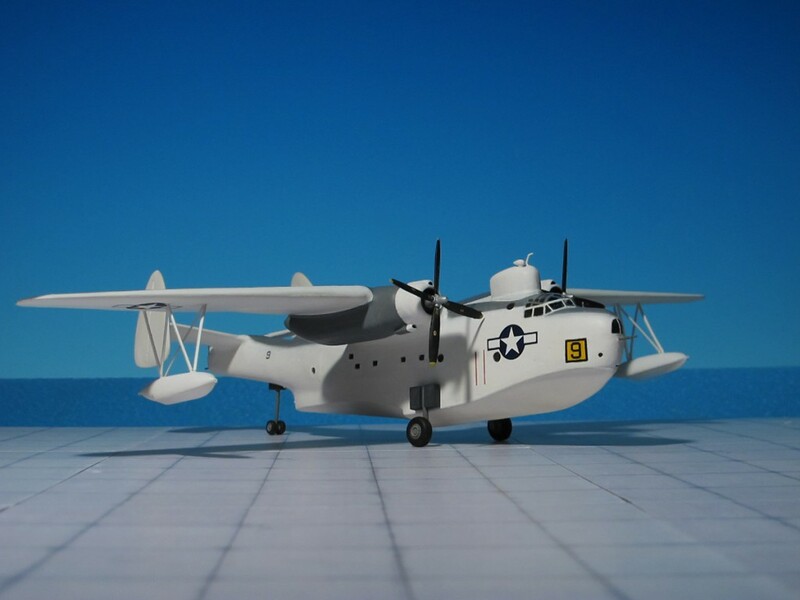 COMMENT: In June 1935 and July 1936, respectively, the US Navy ordered prototypes of large four-engine flying-boats in patrol bomber category from Sikorsky and Consolidated. 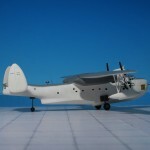 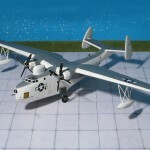 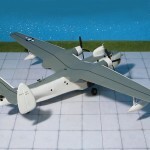 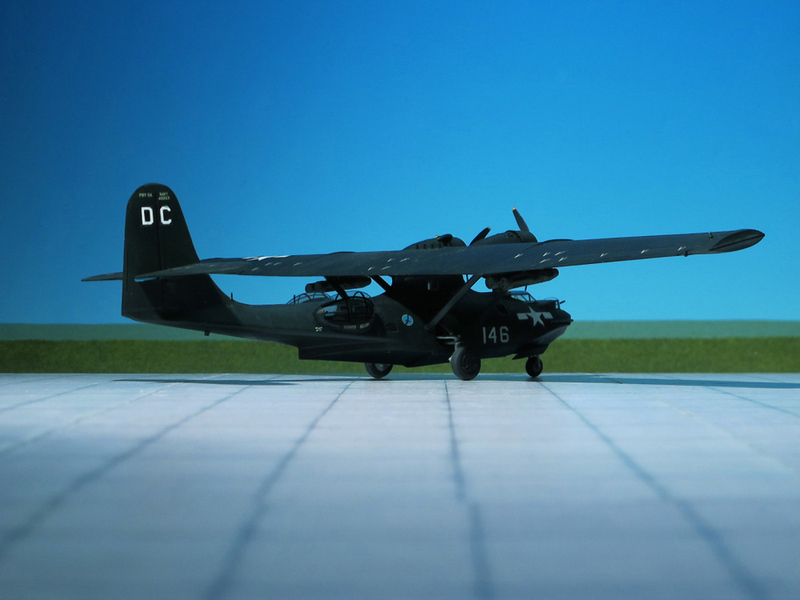 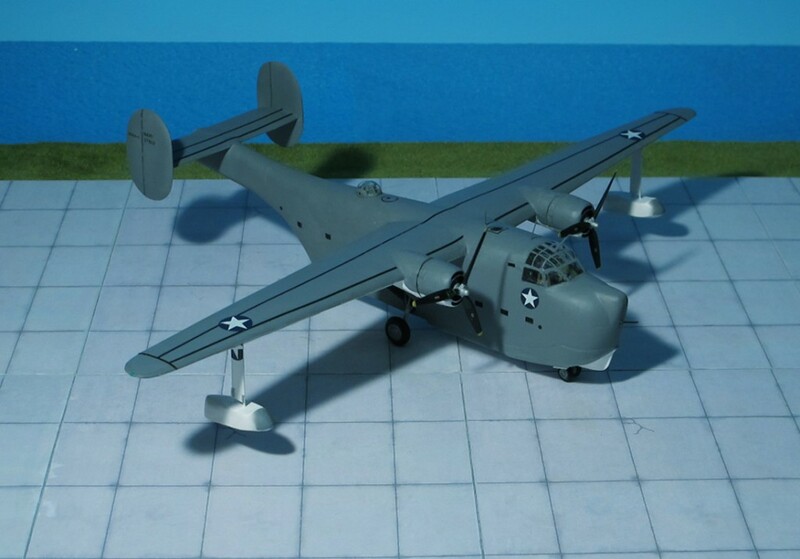 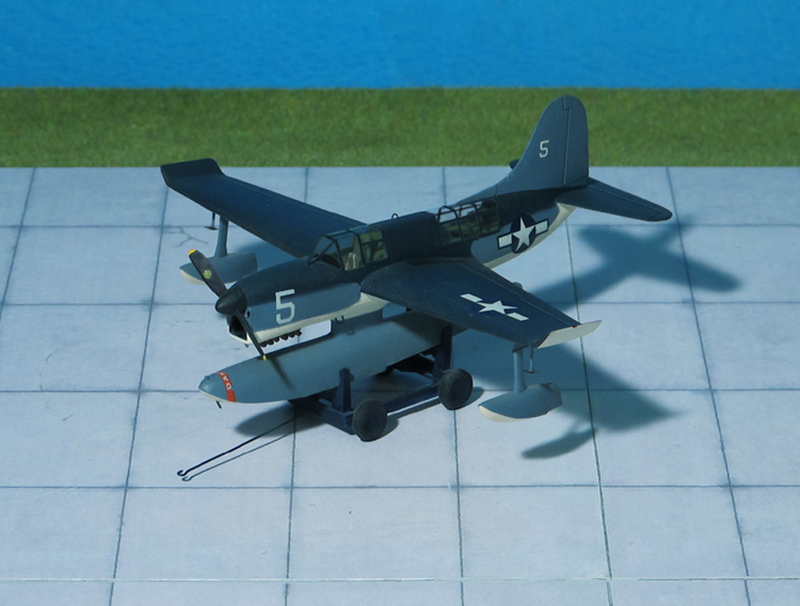 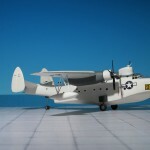 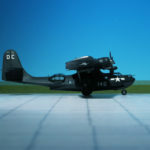 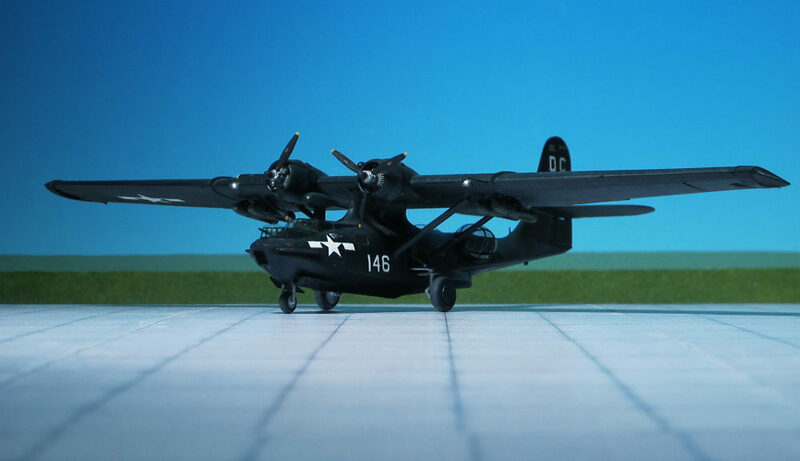 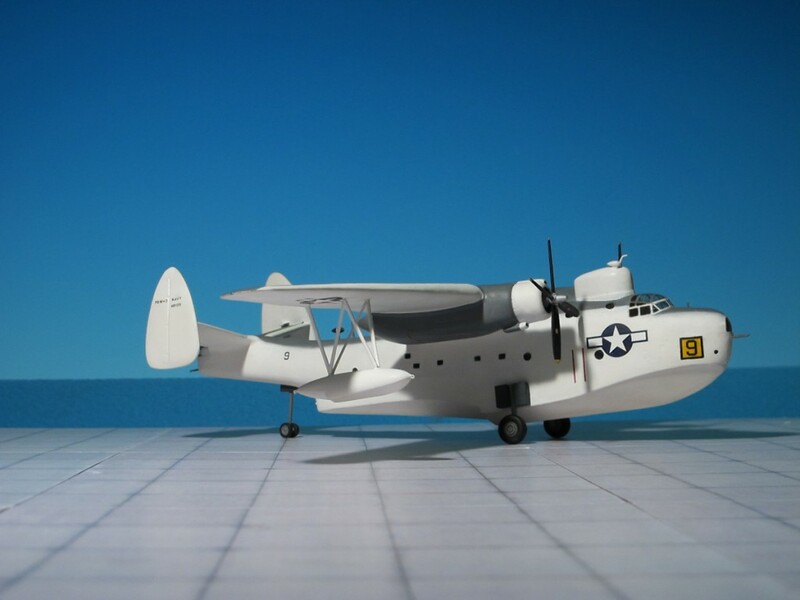 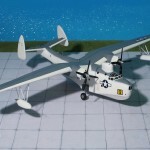 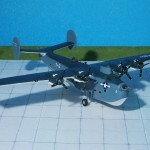 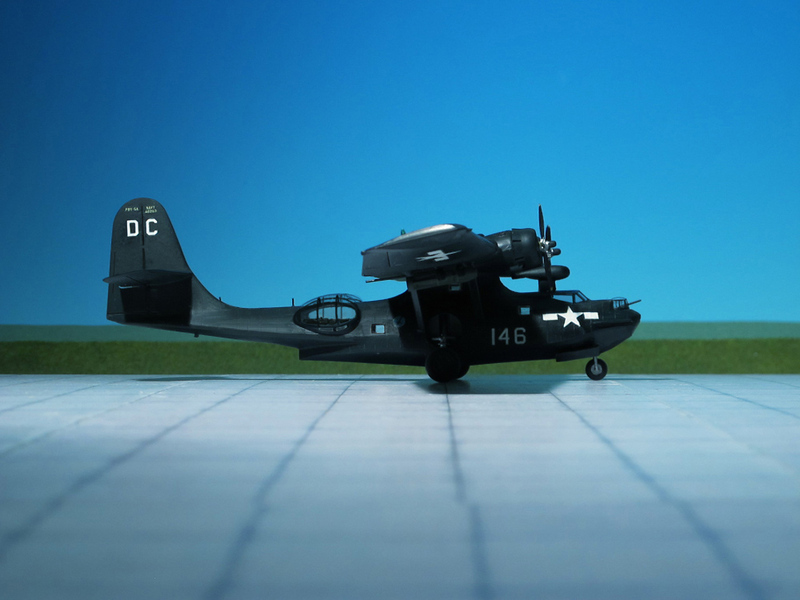 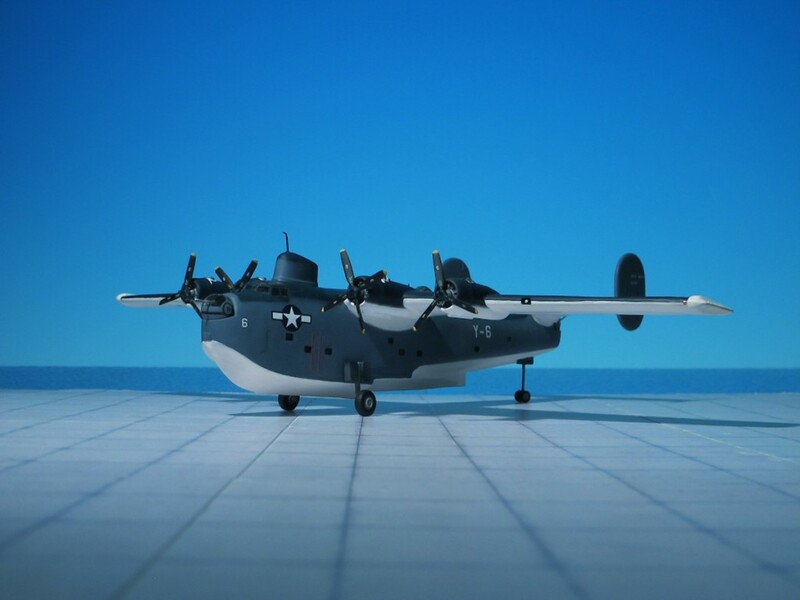 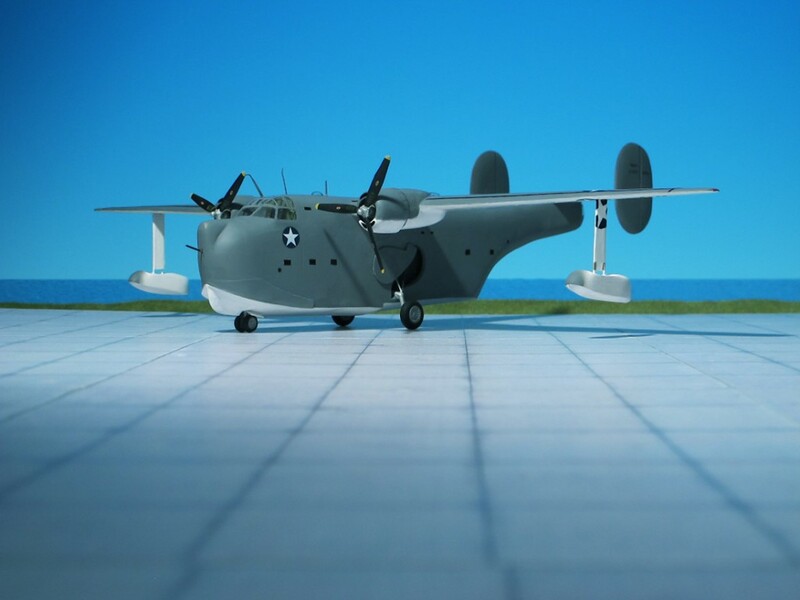 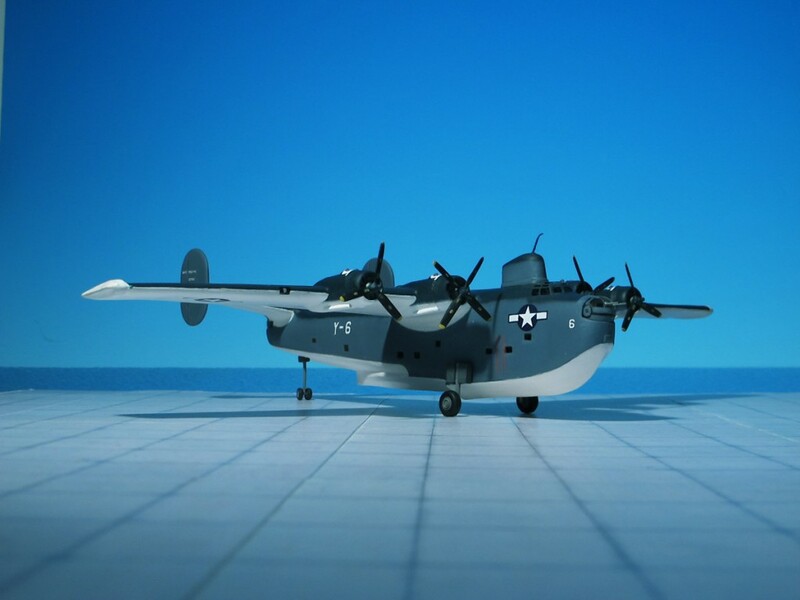 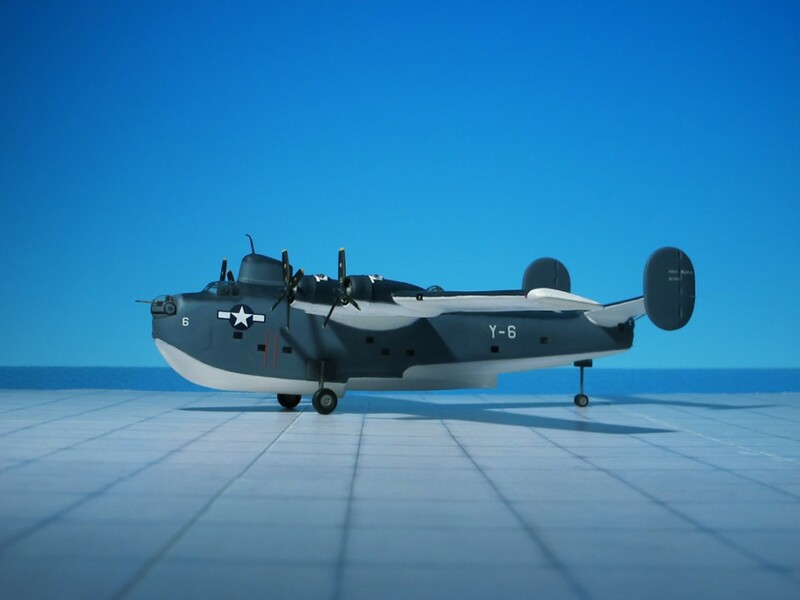 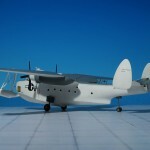 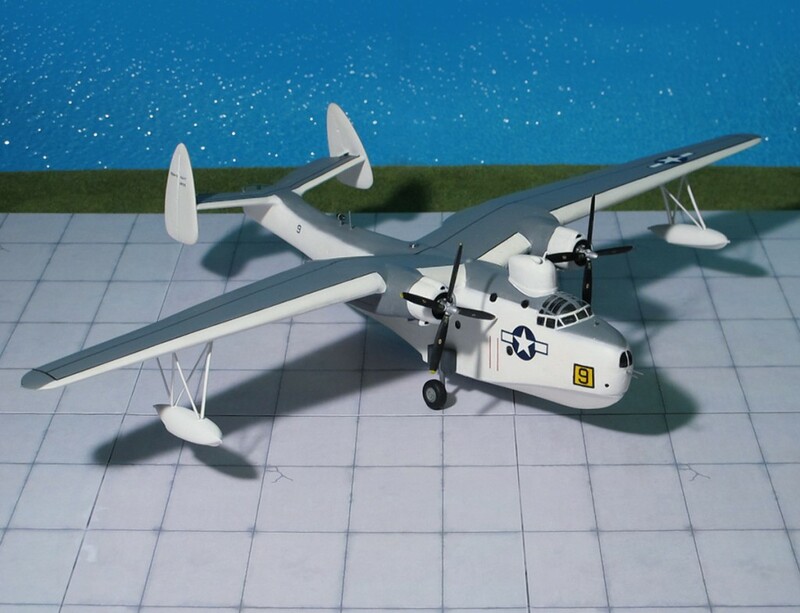 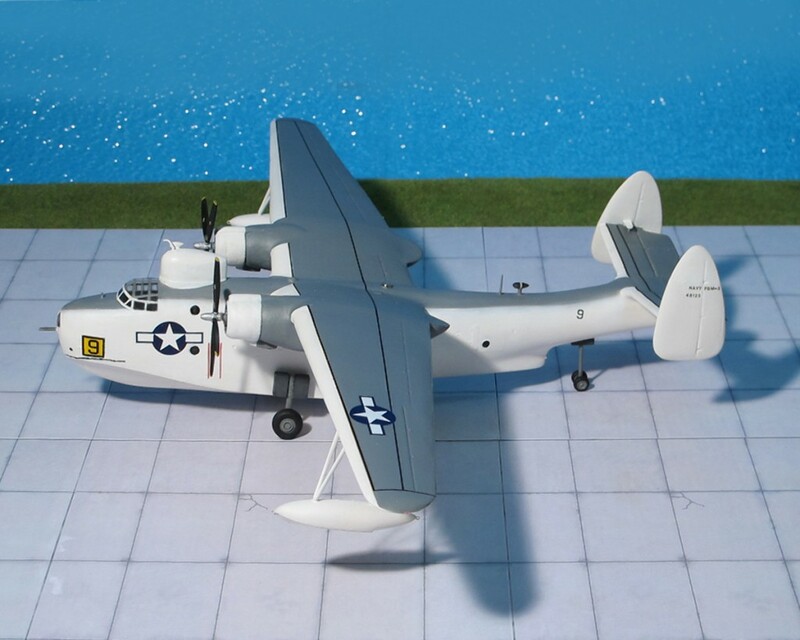 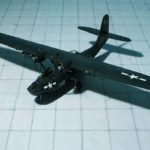 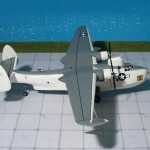 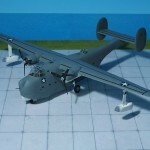 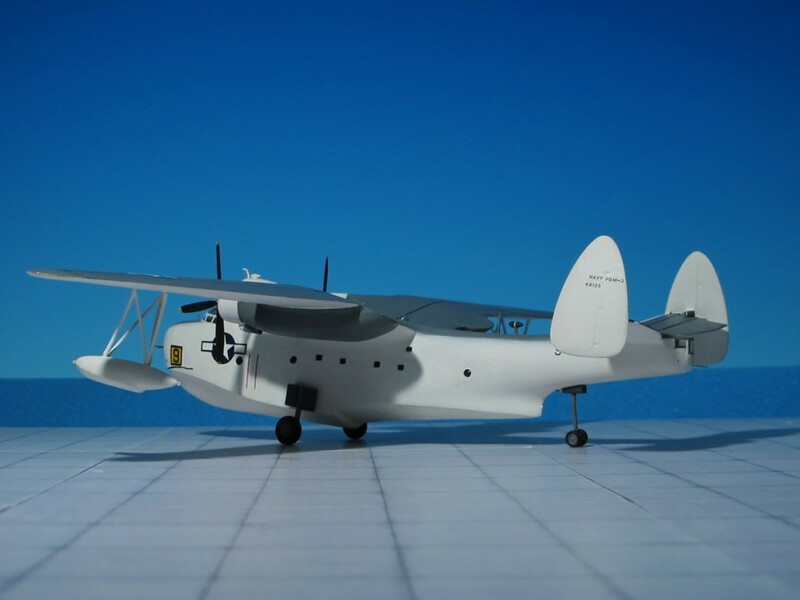 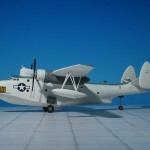 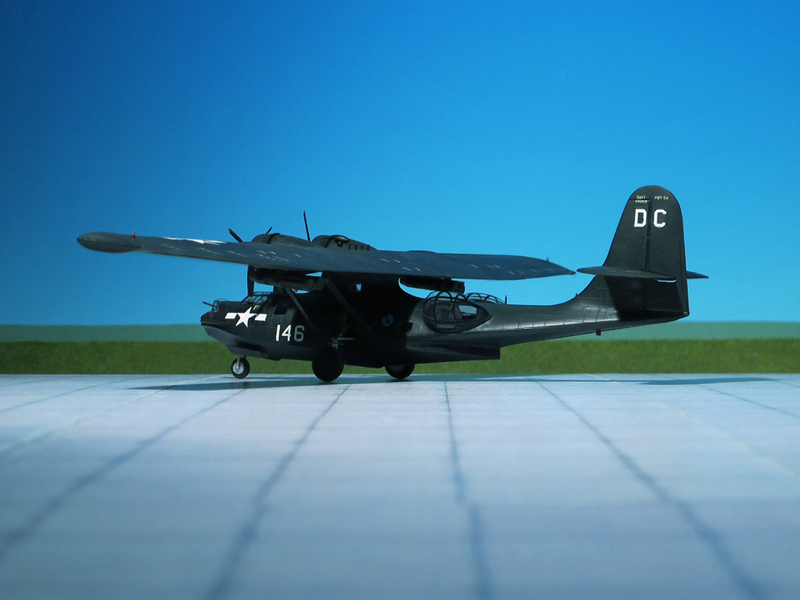 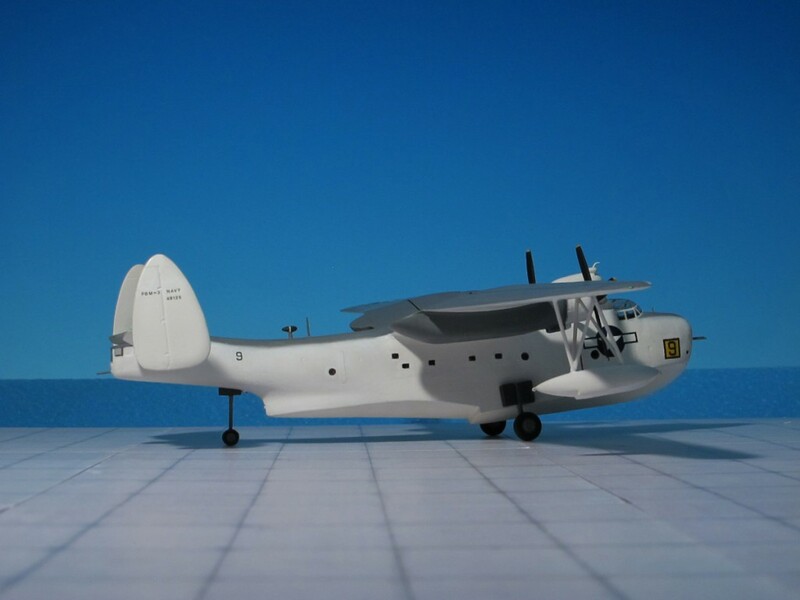 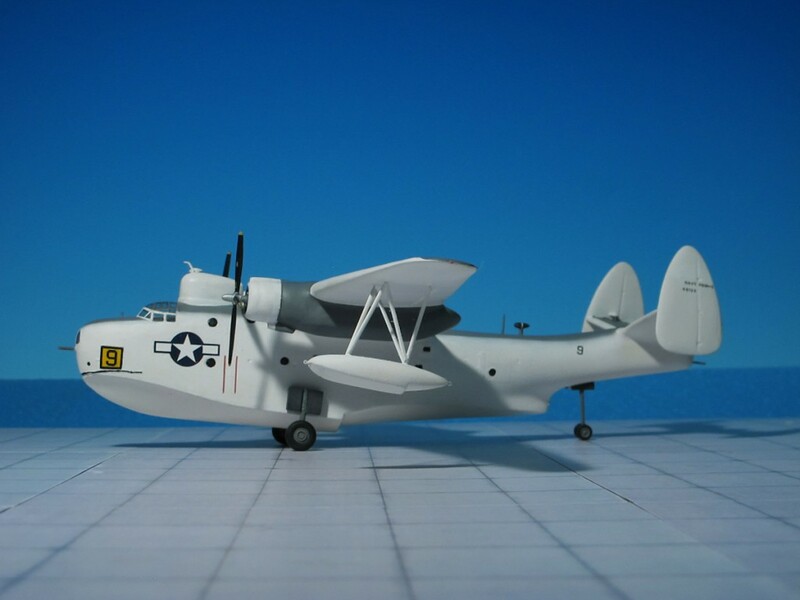 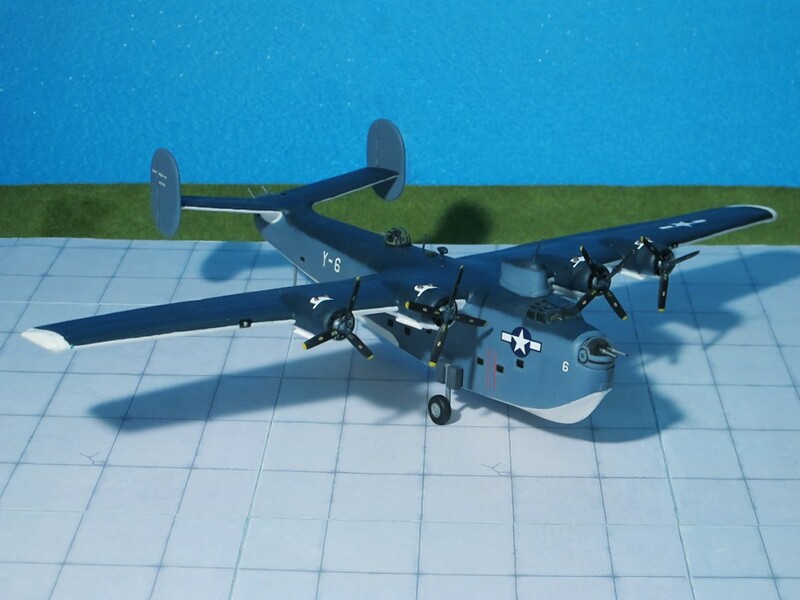 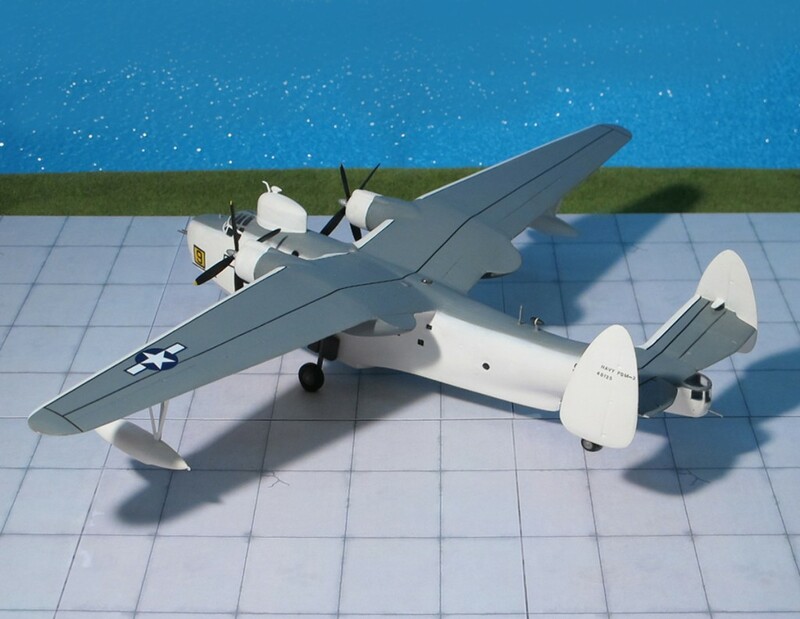 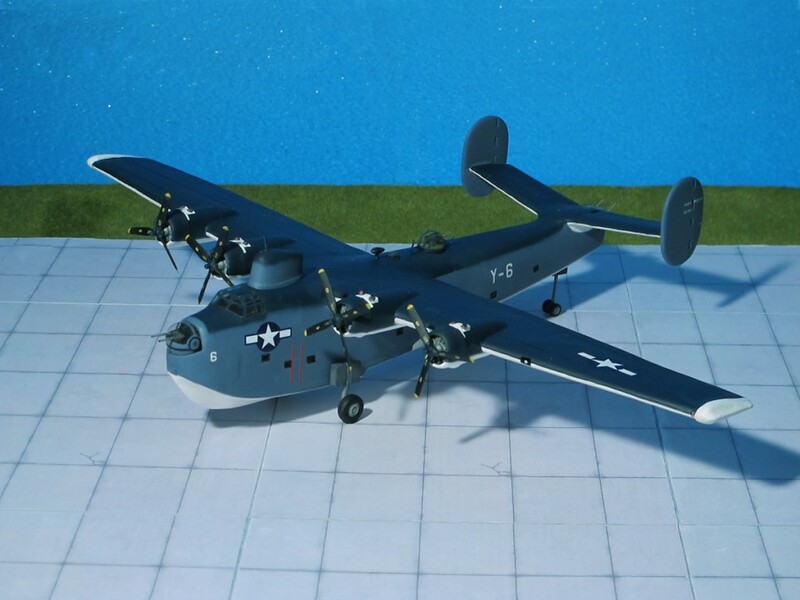 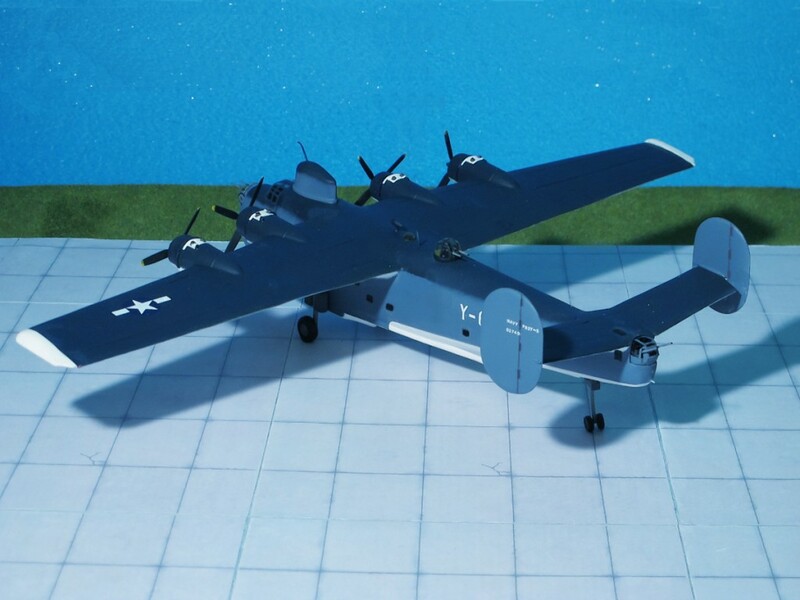 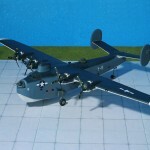 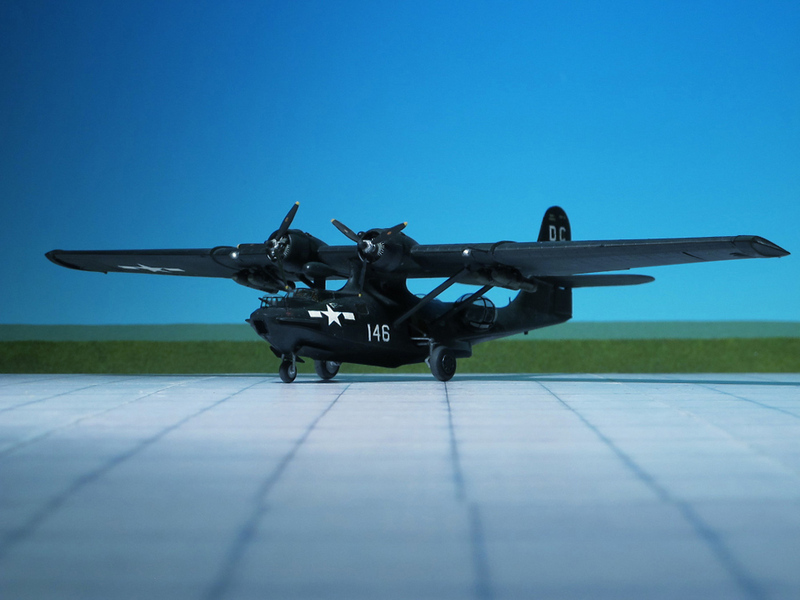 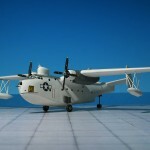 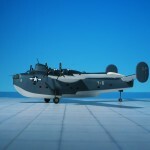 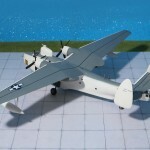 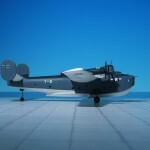 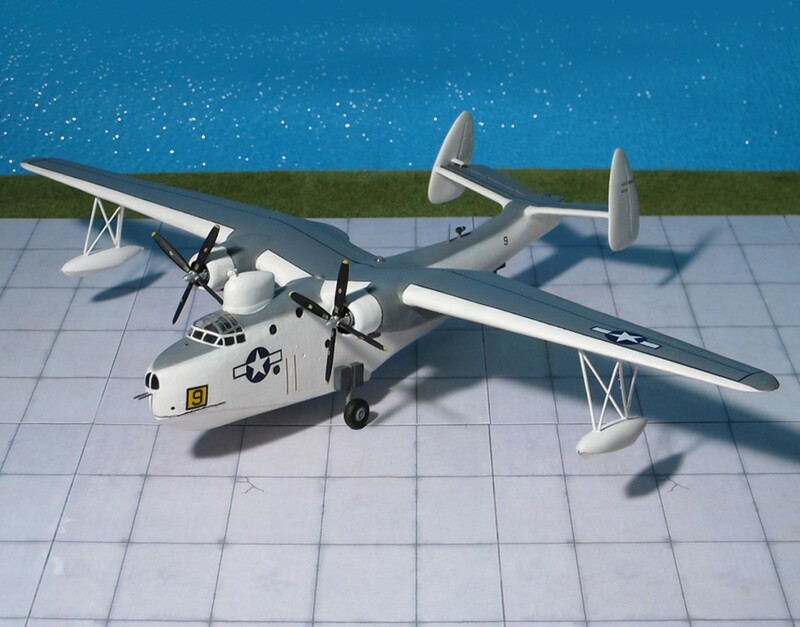 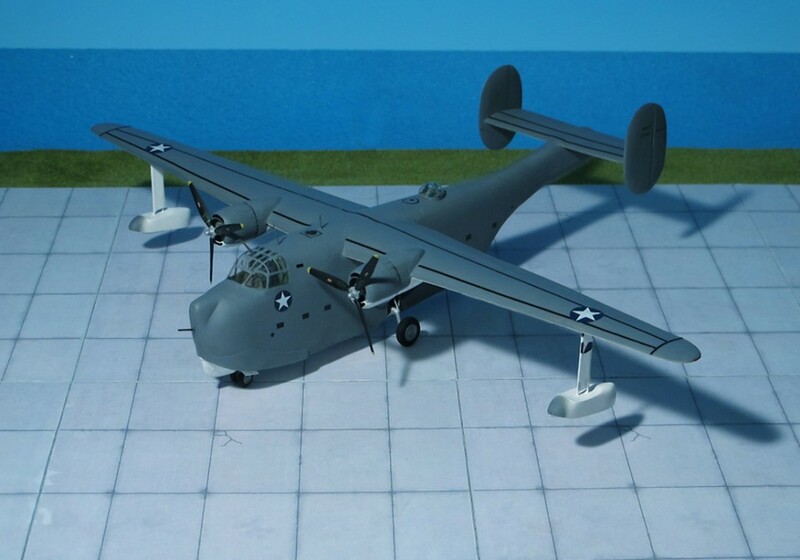 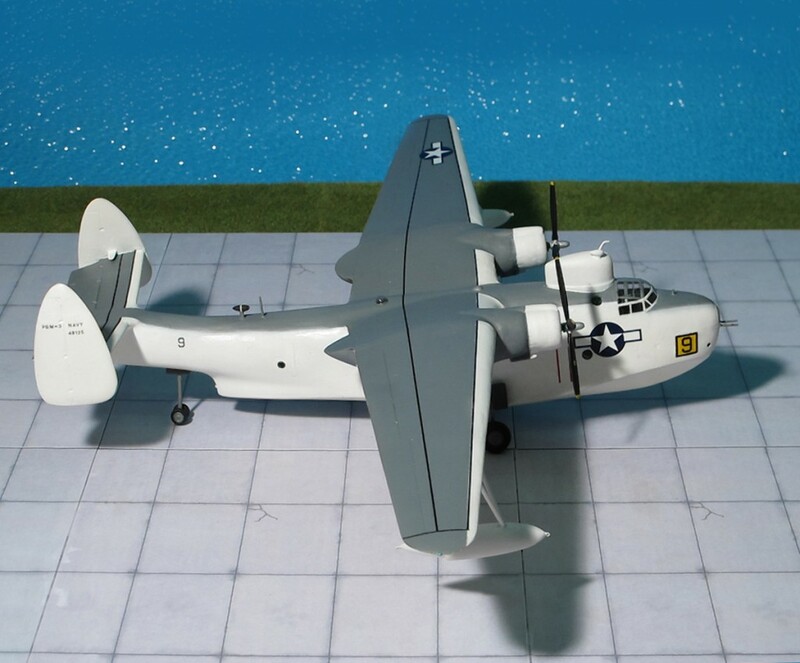 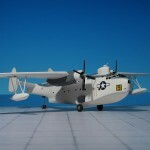 The Consolidated design, Model 29, made use of retractable wingtip floats similar to those on the Consolidated PBY “Catalina”, but in all other respects it was a wholly new design with high-mounted wing and a capacious hull with accommodation for a crew of ten. 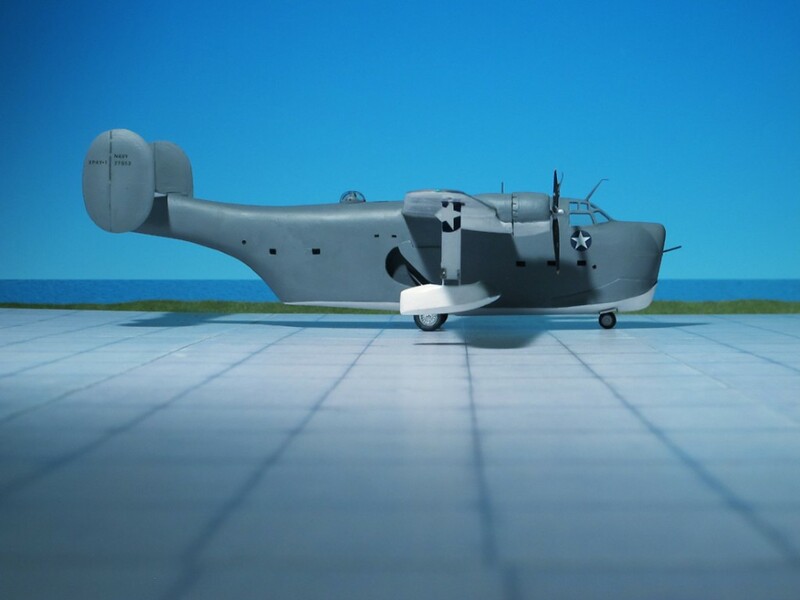 COMMENT: This long-range anti-submarine variant of the basic PBM-3 carried a AN/APS-15 radar in a large housing above and behind the cockpit. 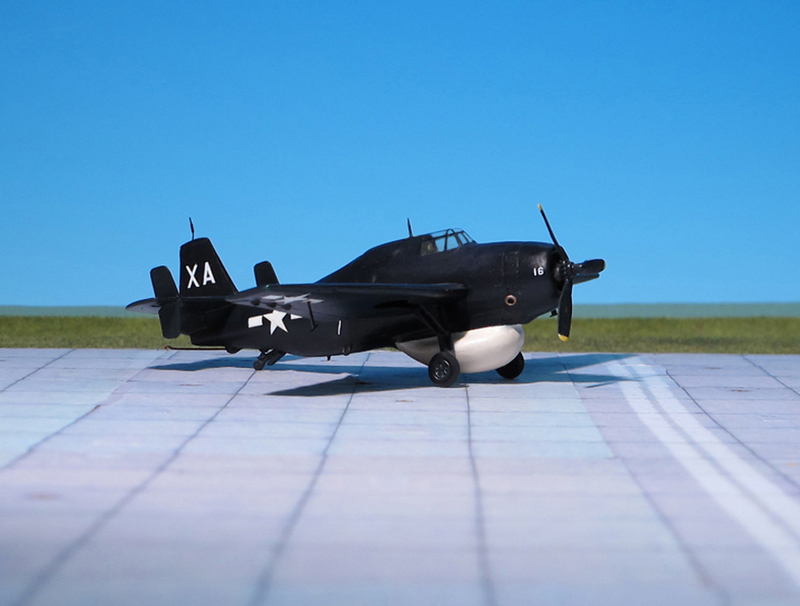 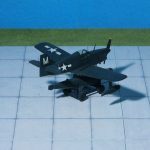 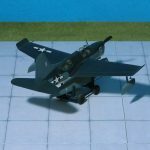 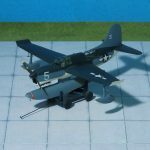 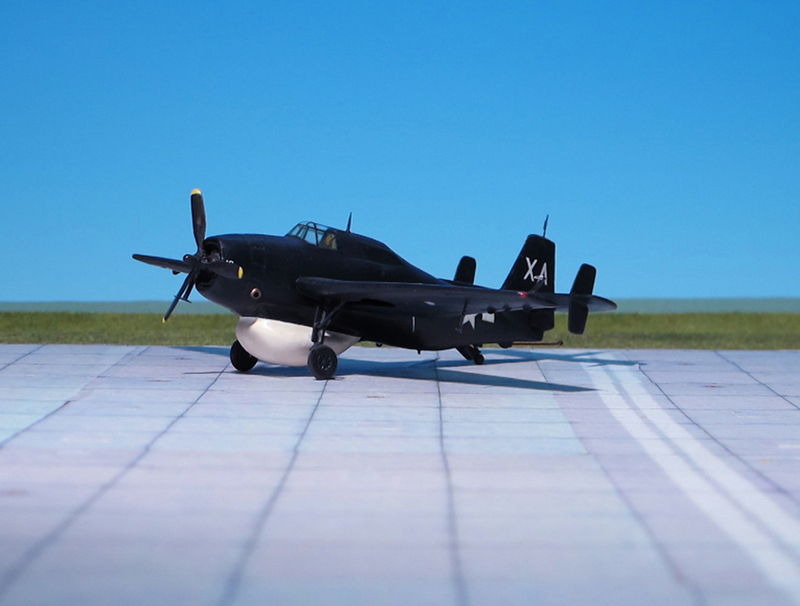 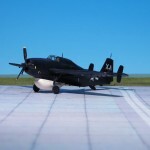 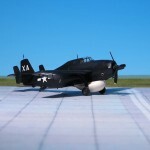 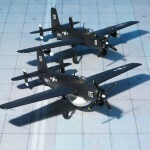 Up to 2,000 lb bombs or depth-charges could be carried. 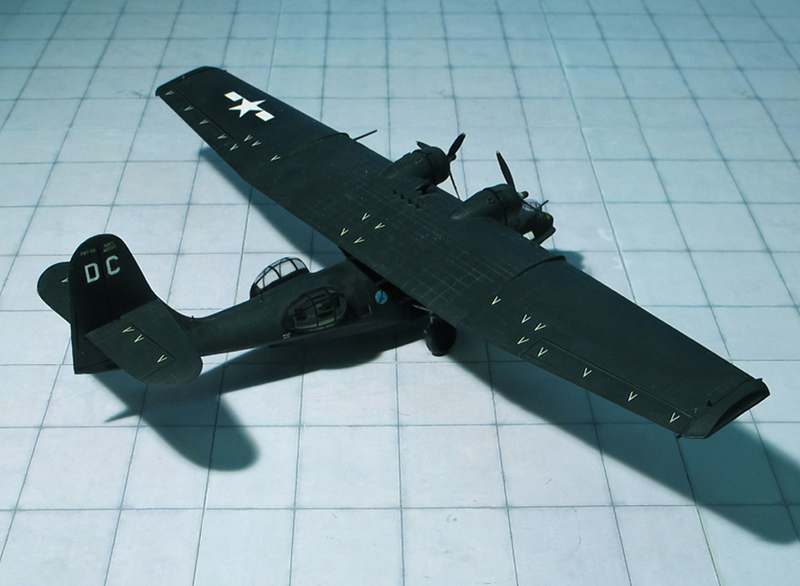 A total of 156 of this version were built. 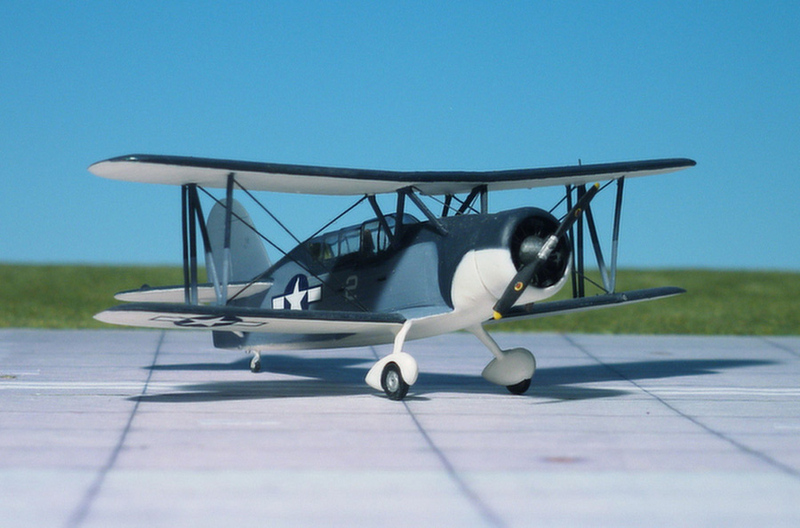 COMMENT: The Curtiss SOC “Seagull” was an American single-engine scout observation biplane aircraft, designed by the Curtiss-Wright Corporation for the US Navy. 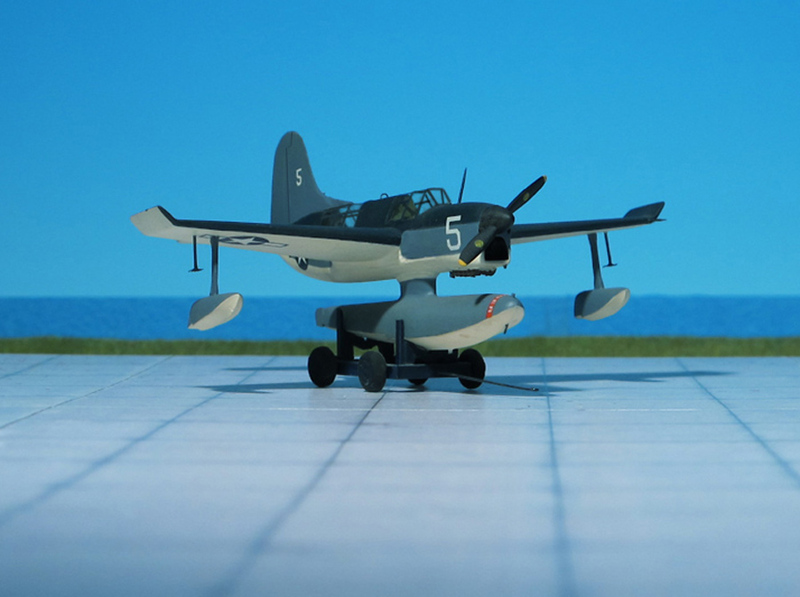 The aircraft served on battleships and cruisers in a seaplane configuration, being launched by catapult and recovered from a sea landing. 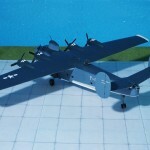 The wings folded back against the fuselage for storage aboard ship. 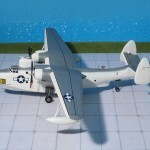 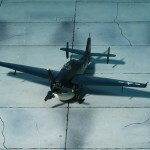 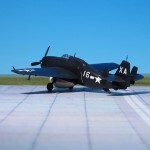 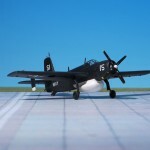 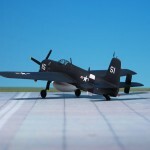 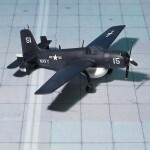 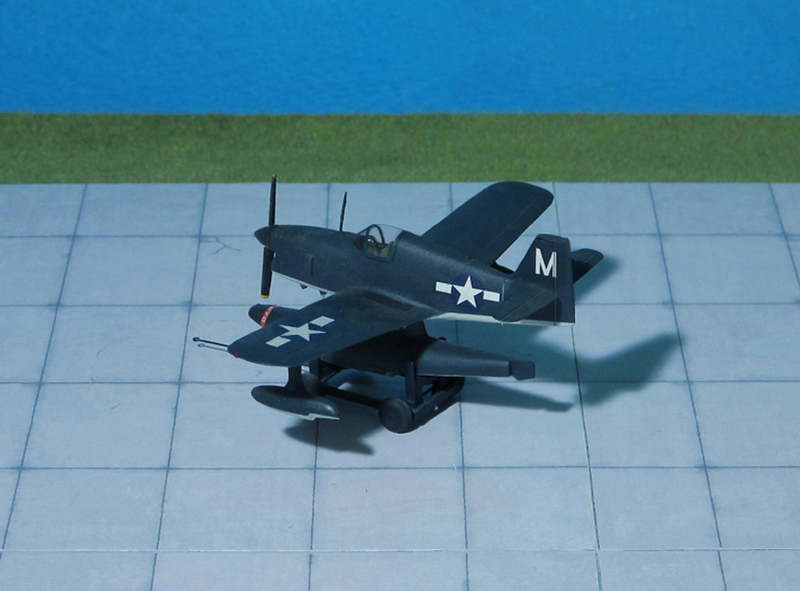 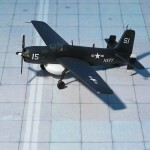 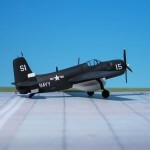 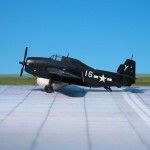 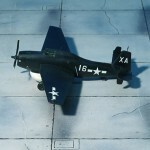 When delivered from factory or based ashore or on carriers the single float was replaced by fixed wheeled landing gear. 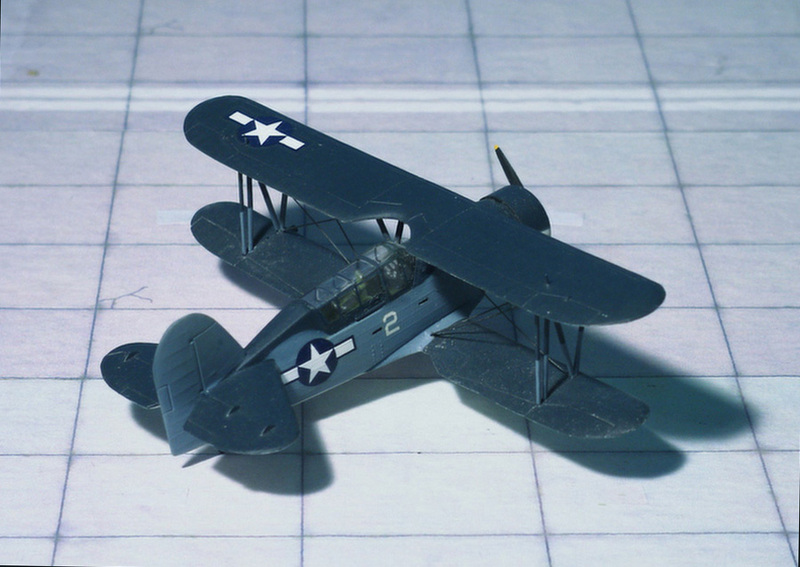 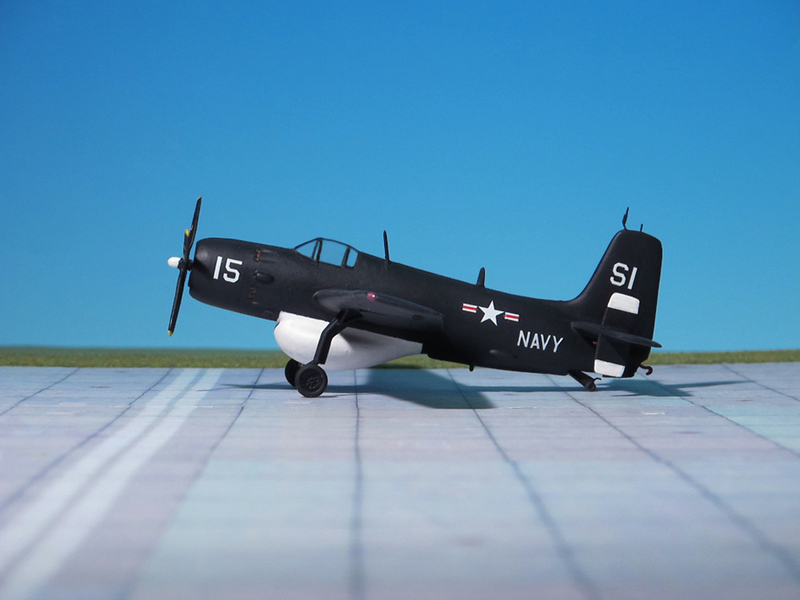 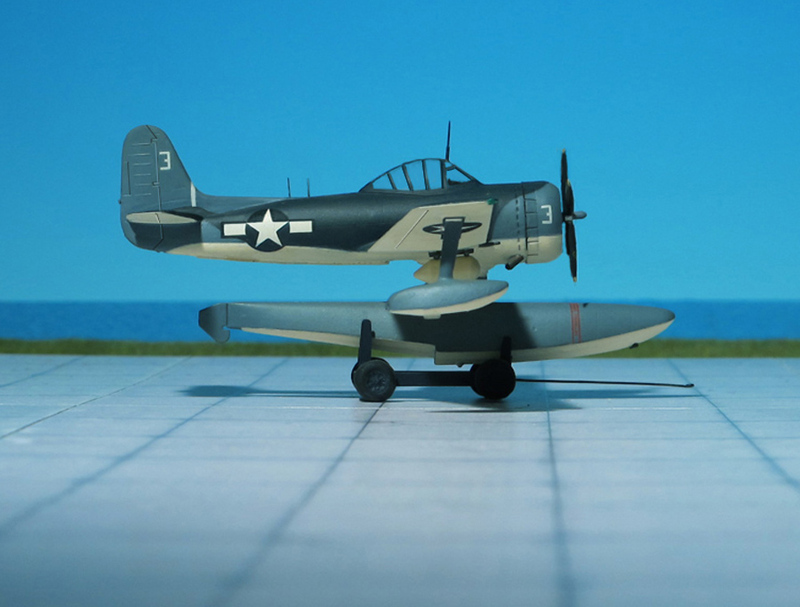 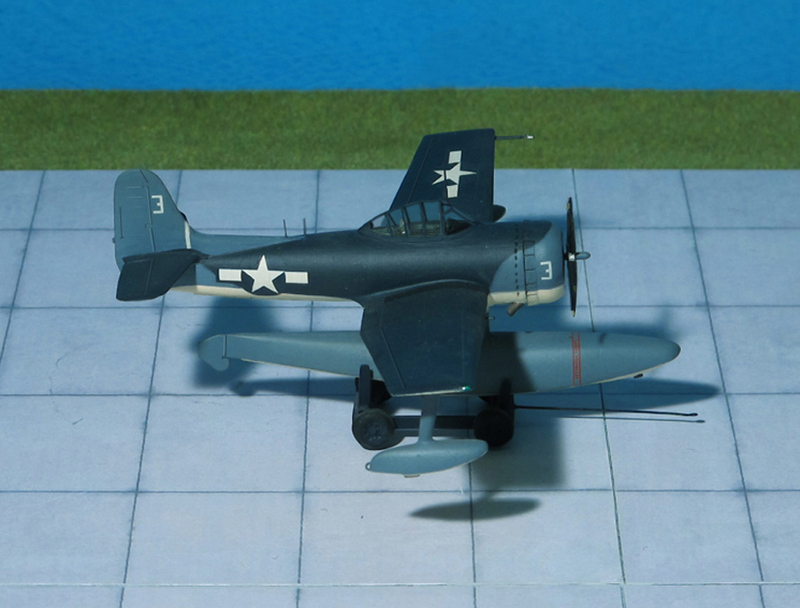 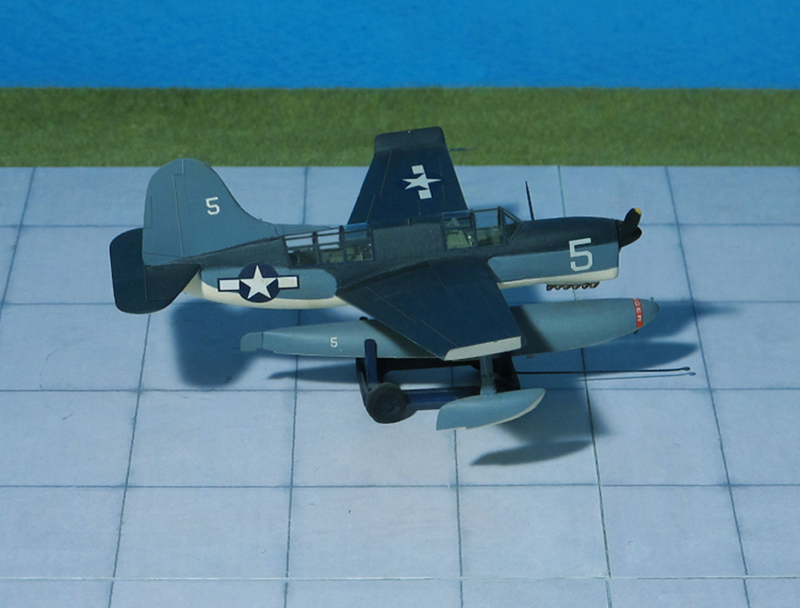 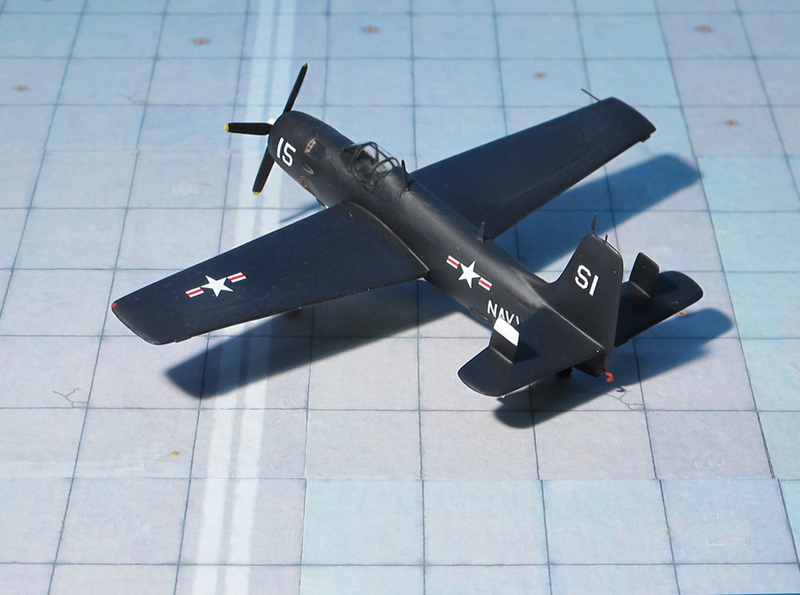 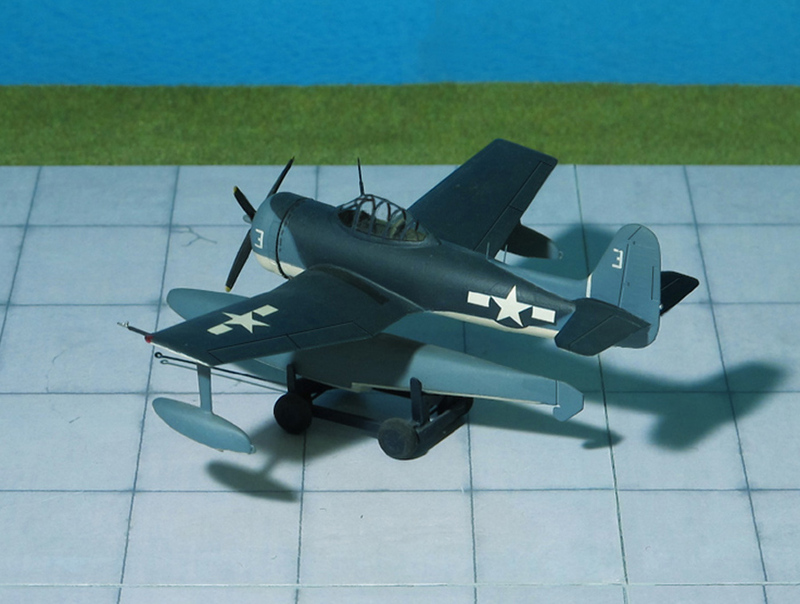 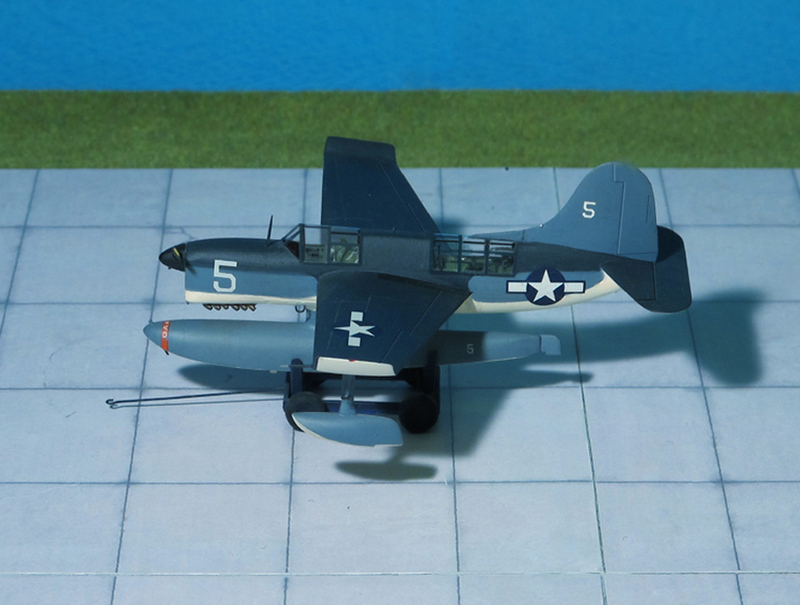 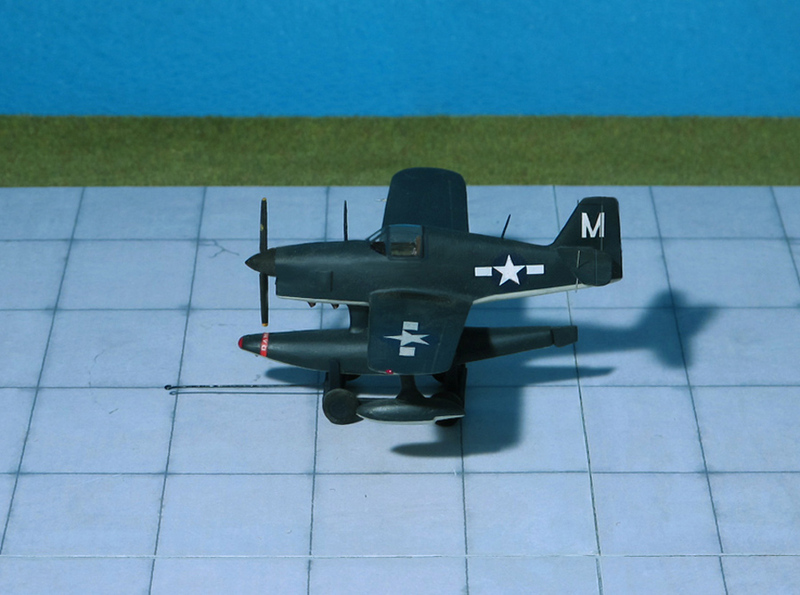 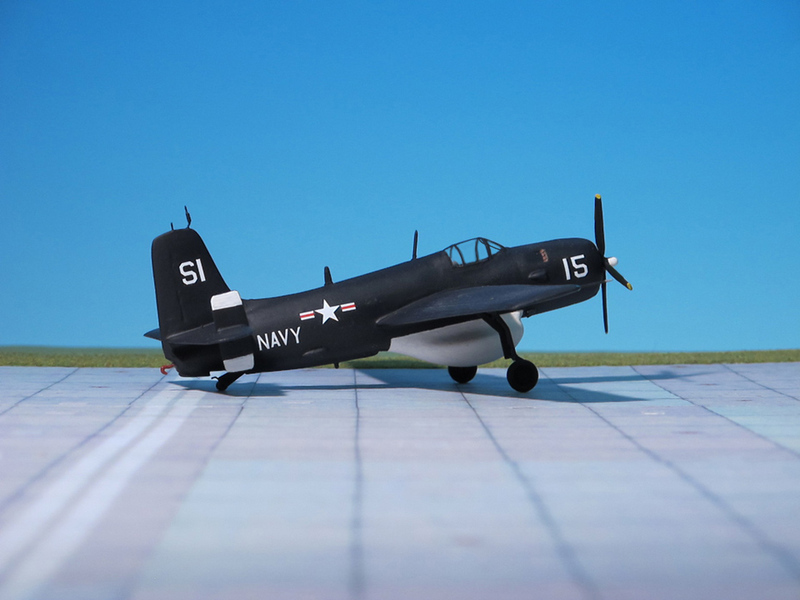 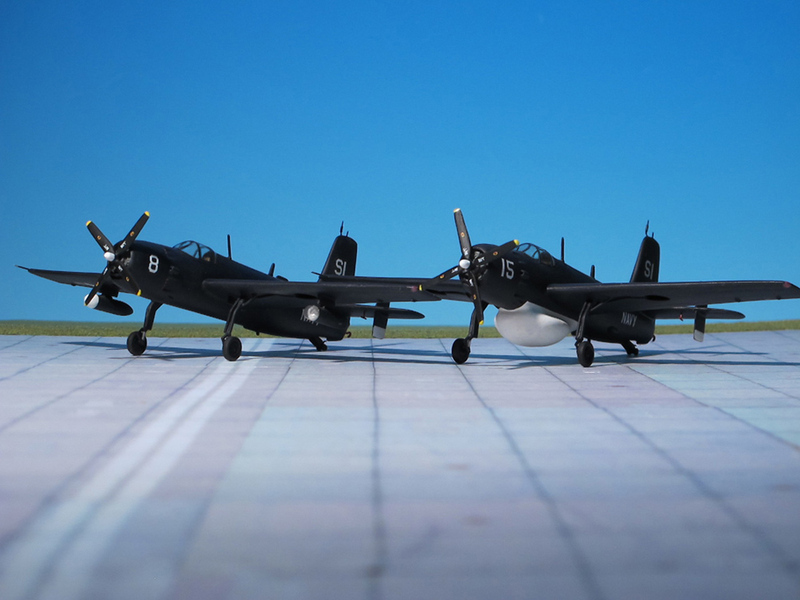 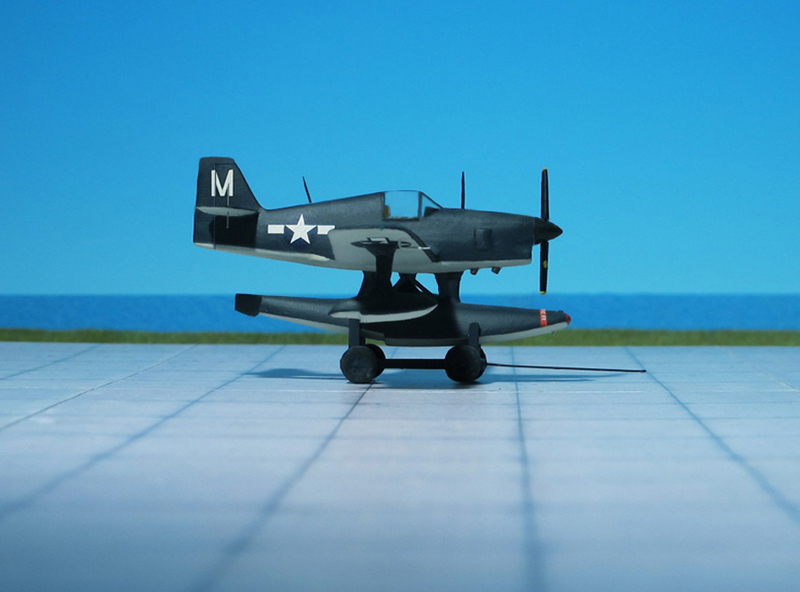 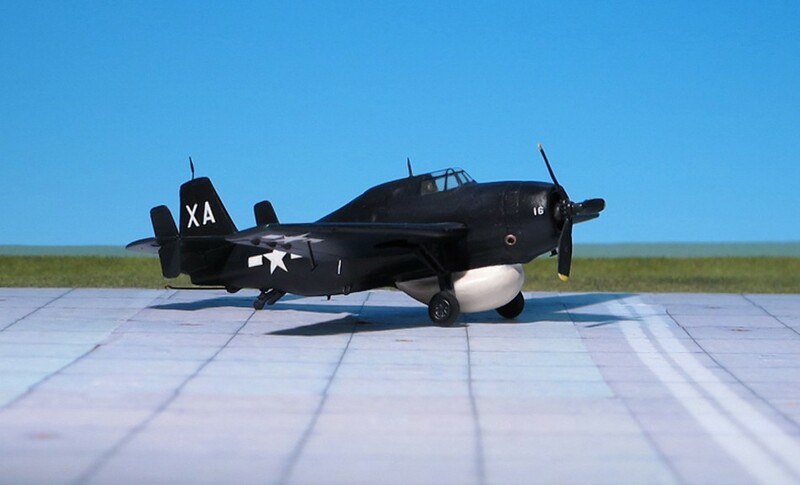 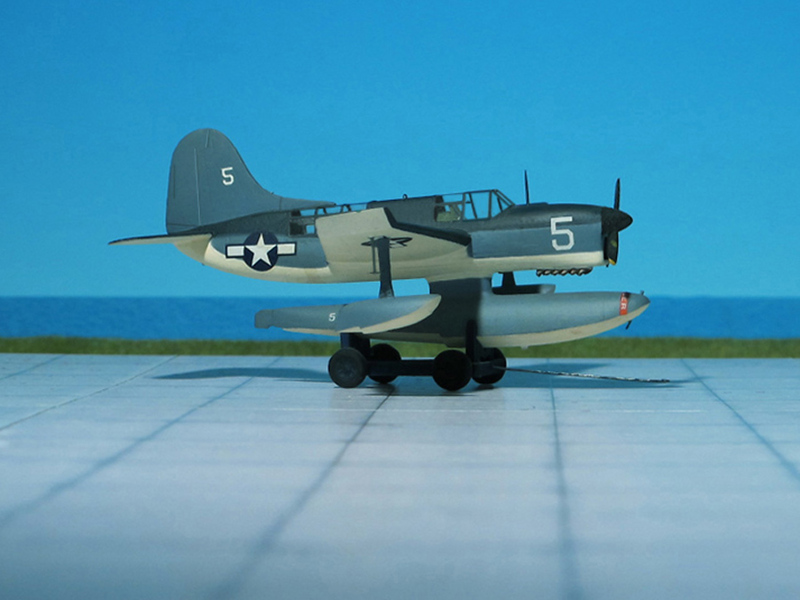 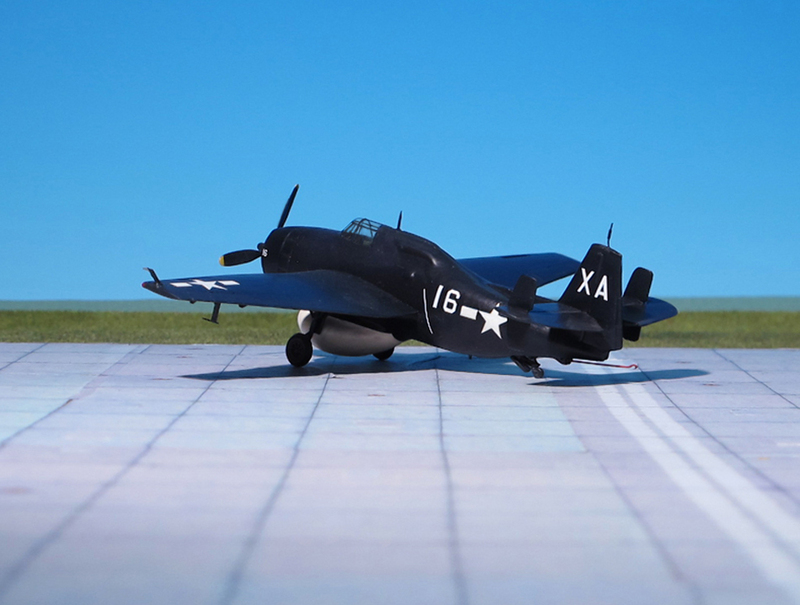 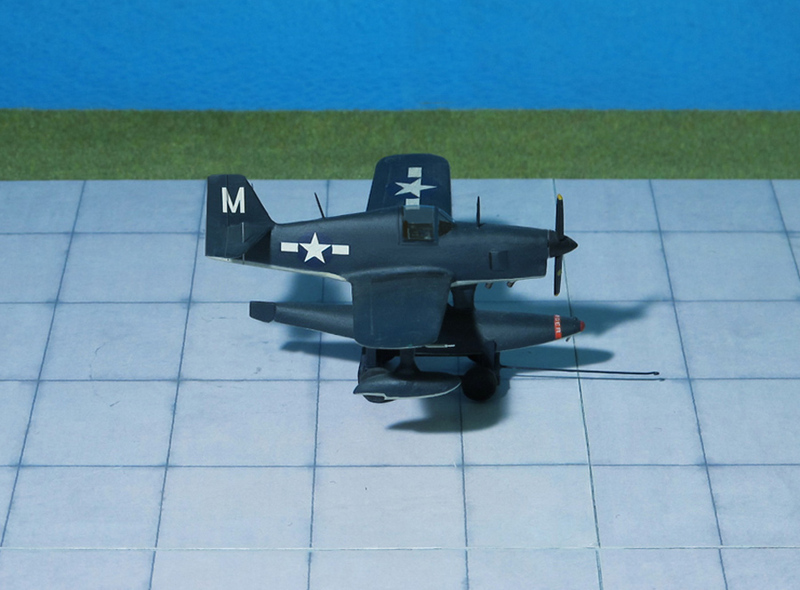 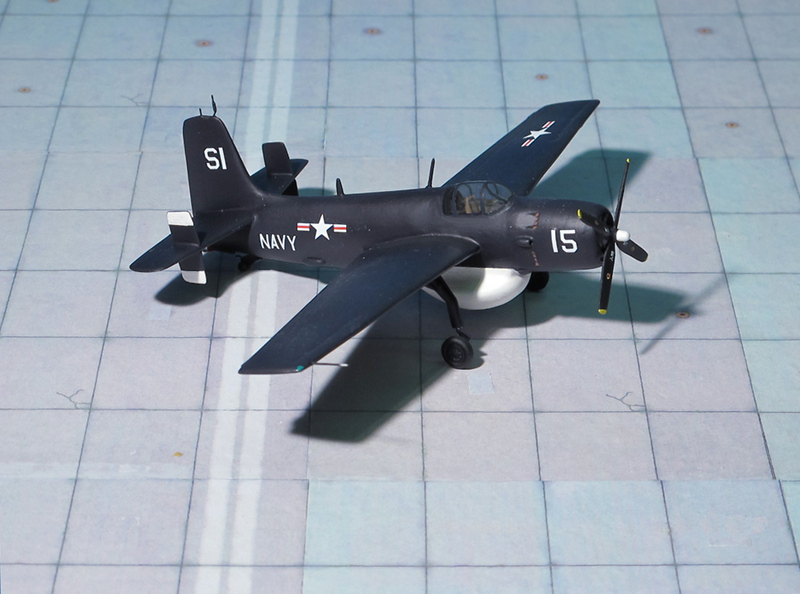 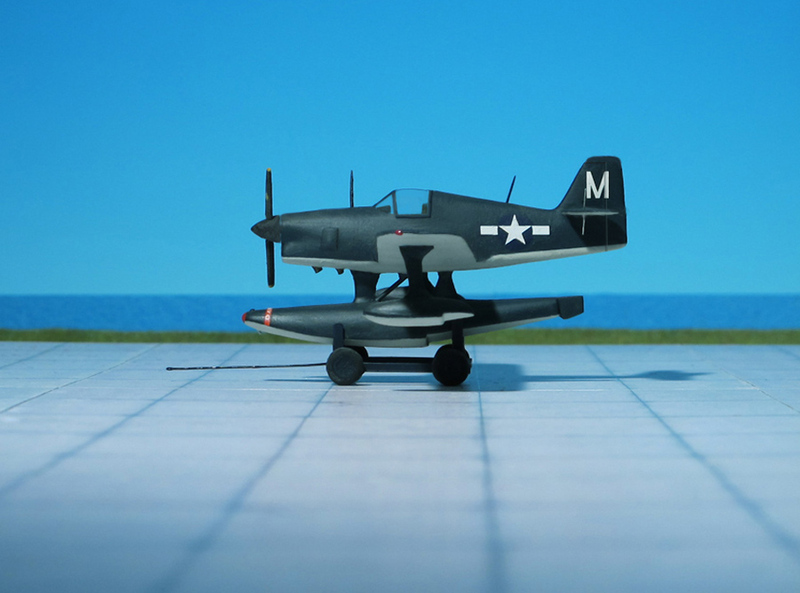 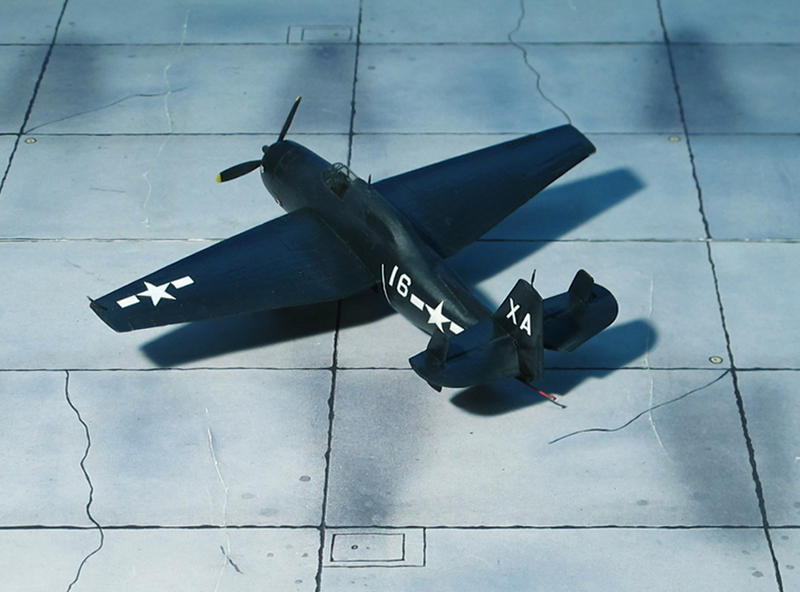 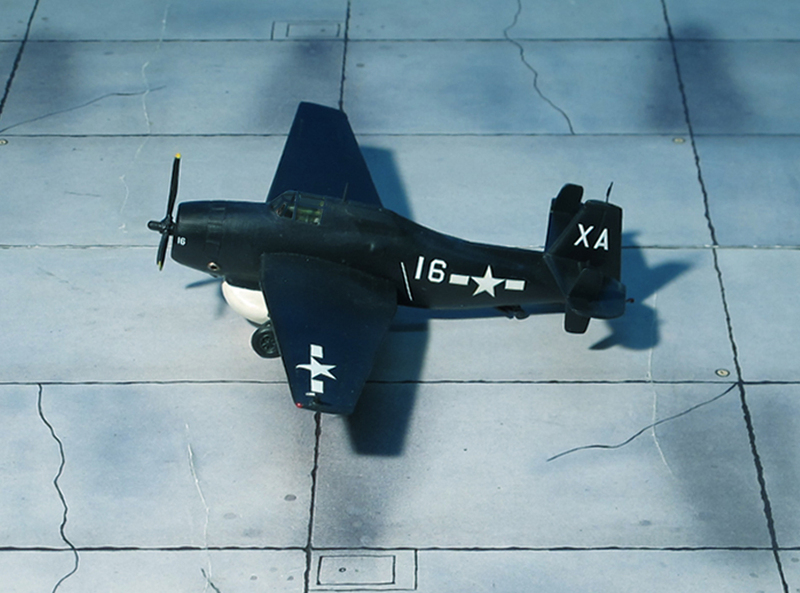 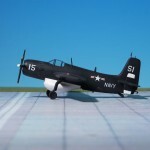 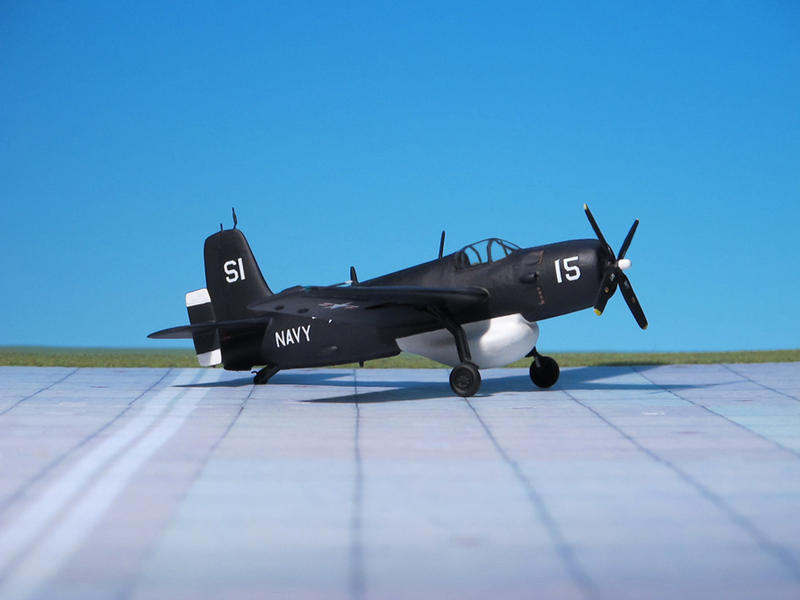 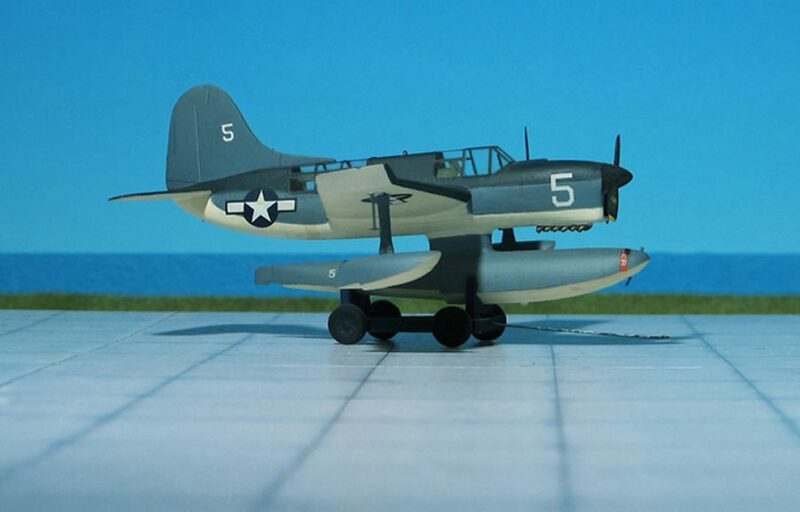 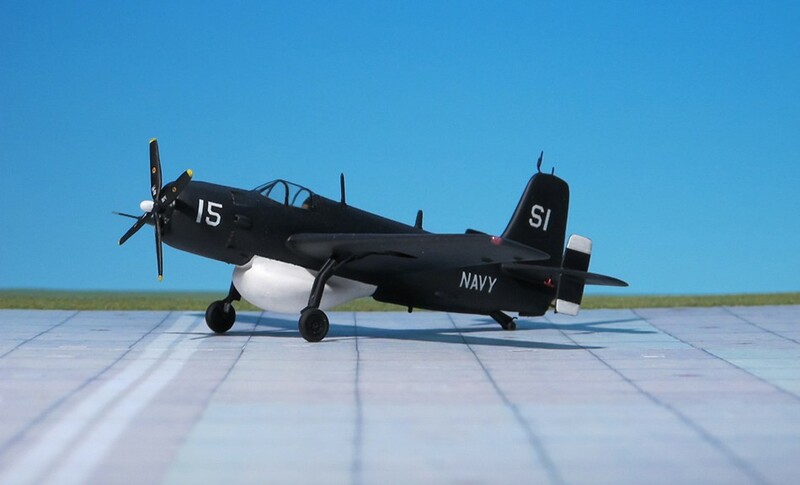 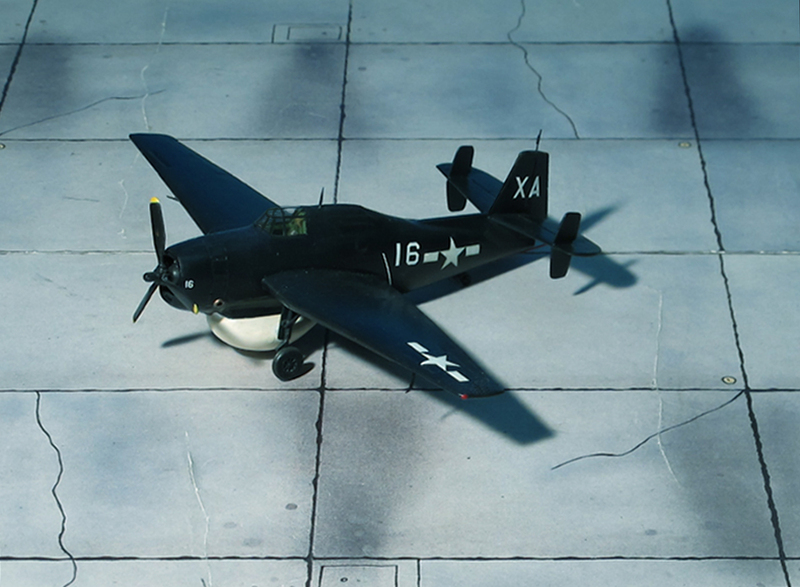 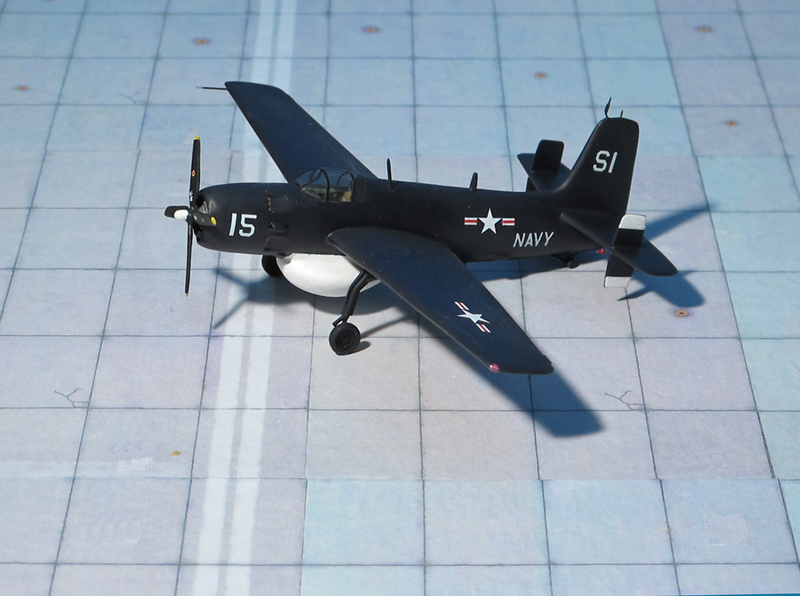 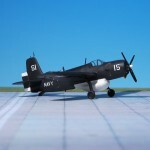 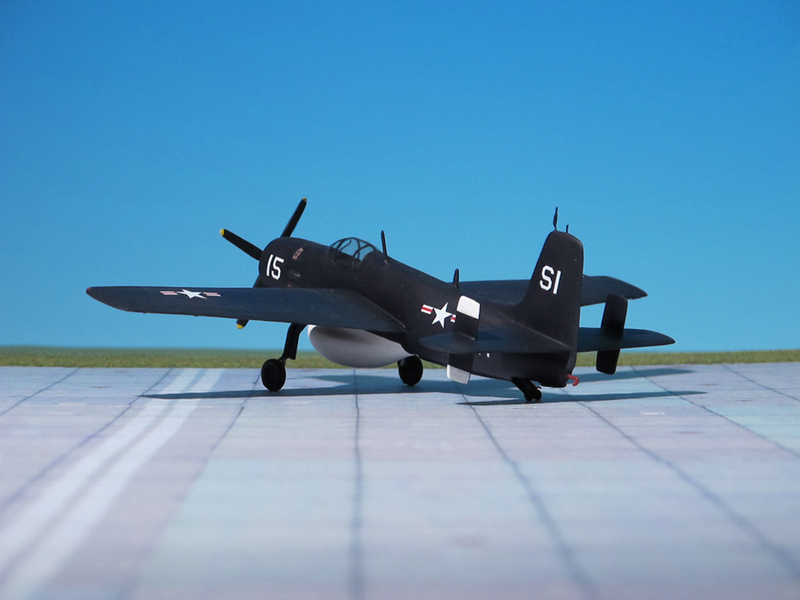 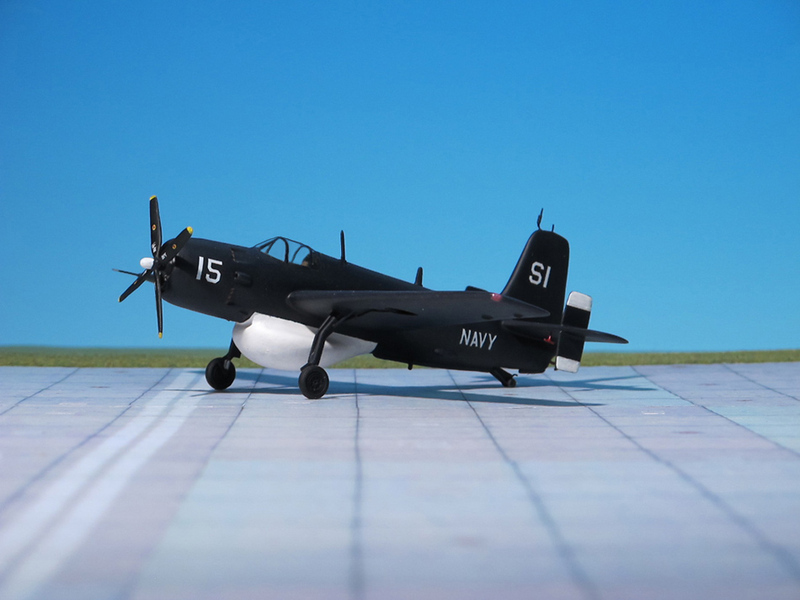 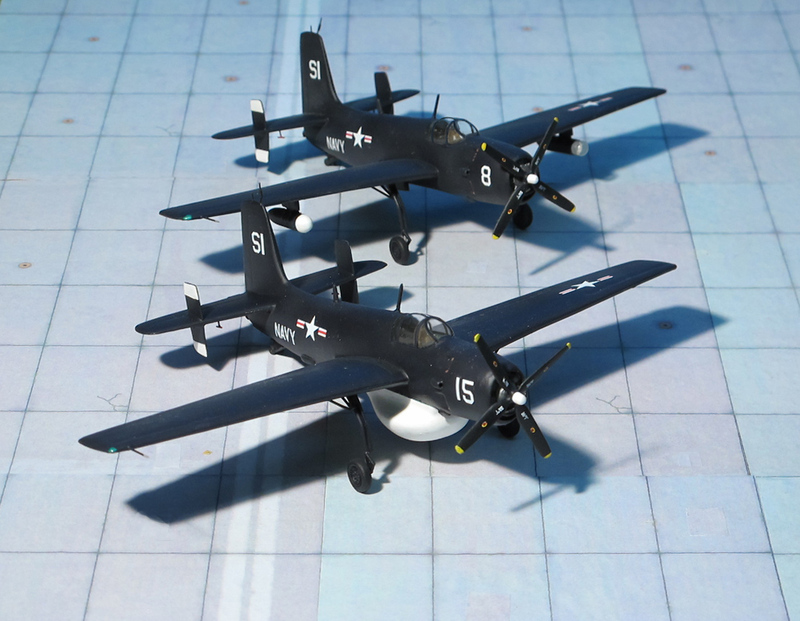 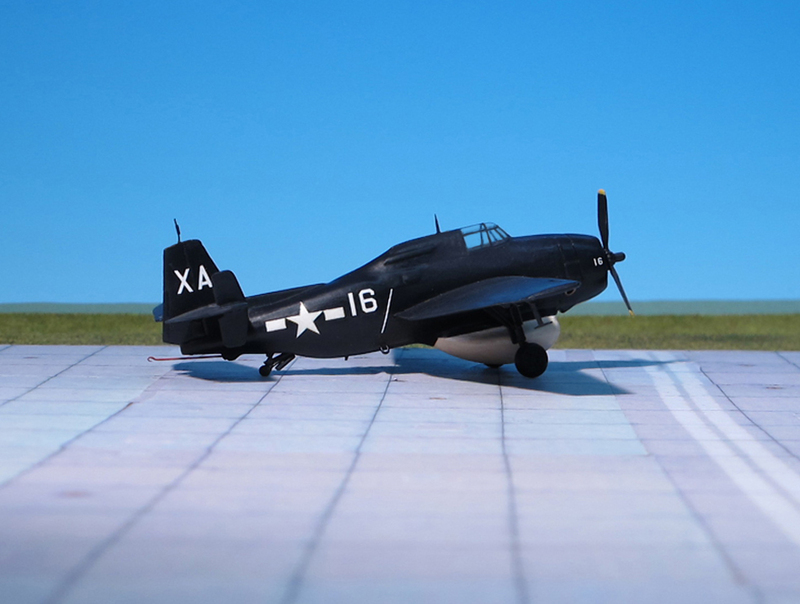 The SOC was not called the “Seagull” until 1941, when the U.S. Navy began the wholesale adoption of popular names for aircraft in addition to their alpha-numeric designations (Ref. 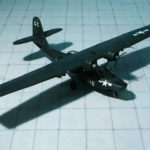 :24).